Bom dia aqui da Argentina, é dia de corrida e quero lutar pela vitória. Vamos com tudo! 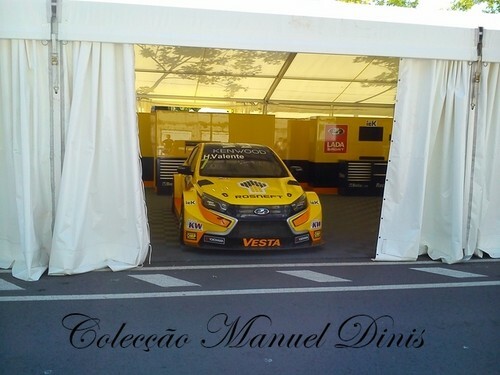 After the FIA WTCC season’s longest journey from Russia to Termas de Rio Hondo, Argentina for the LADA SPORT ROSNEFT team came the season’s shortest qualifying session today (6th August 2016) as all three of the Lada Vesta TC1 cars were eliminated after Q1 for the first time this season. 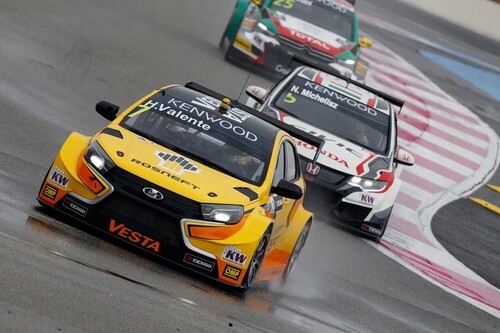 A combination of circumstances including 50kg of “success ballast” for the Rosneft backed cars and an uncharacteristically strong performance from the lighter Chevrolet Cruze’s pushed the Lada’s down the ranking and outside of the all-important Top -12. 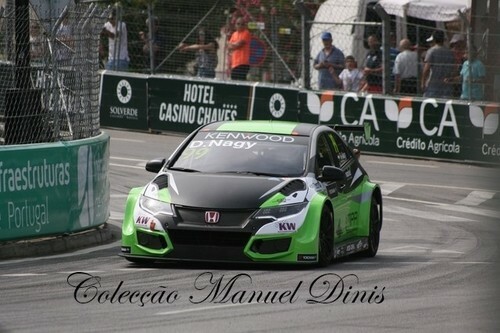 In the process creating a difficult prospect of race success tomorrow in rounds 15 and 16 of the FIA World Championship. Best placed of the LADA SPORT ROSNEFT trio was Hugo Valente (P13) who was unlucky to be edged out of Q2 in the final moments of the session. Next up was Nicky Catsburg (P14), who so far has had the best qualifying record in the team but struggled to get the desired pace from his Vesta sighting the need to overdrive the limits of the car to attempt to extract a time. 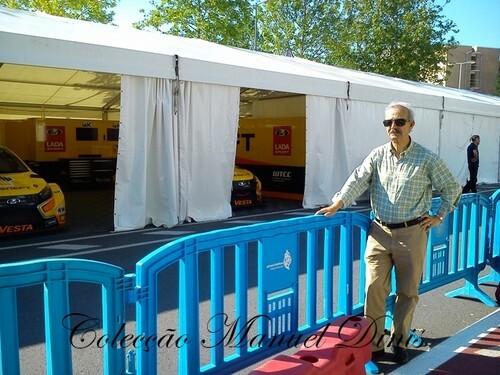 Gabriele Tarquini was the final of the three (P15) which was to be expected after an engine change was needed after a problem in Free Practice curtailed his running and put the experienced Italian on the back foot with the work to his Vesta being completed just moments before the start of the Qualifying session. The result for Gabriele being somewhat immaterial, as he will take a mandatory penalty for the Opening Race relegating him to the back of the grid in any event. This was additionally frustrating for Gabriele as his early FP1 pace had seen him running as high as p4 before being sidelined by his engine issues. 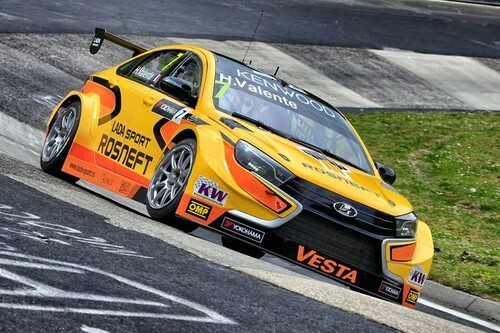 Despite the results from Qualifying the LADA SPORT ROSNEFT team will race for maximum points in tomorrows (7th August 2016) Opening and Main races starting at 14.10 and 15.20 local time (CET less 5 hours) and can be watched LIVE on Eurosport or streamed via WTCC premium TV. 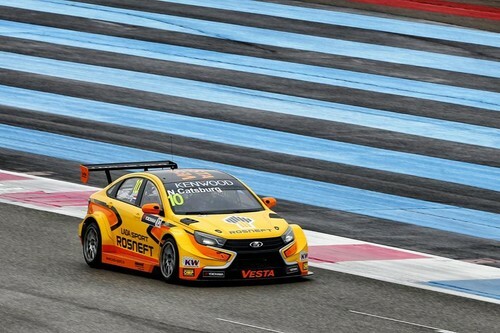 LADA SPORT ROSNEFT is a racing team, participating in the World Touring Car Championship since 2015 with specially designed LADA Vesta WTCC cars. The General Sponsor of the team is a global energy company Rosneft. 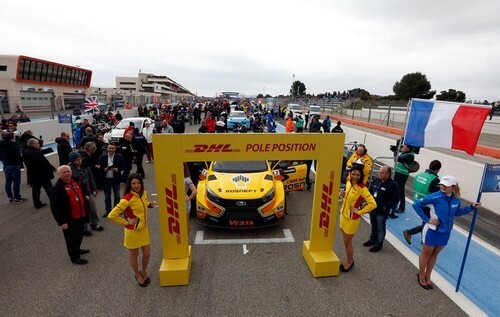 Supporting the Russian team in the World Championship, Rosneft together with the leader of the Russian automotive industry – LADA – joined their efforts to promote Russian brands at the world markets. Acabei em 4º nas duas corridas. 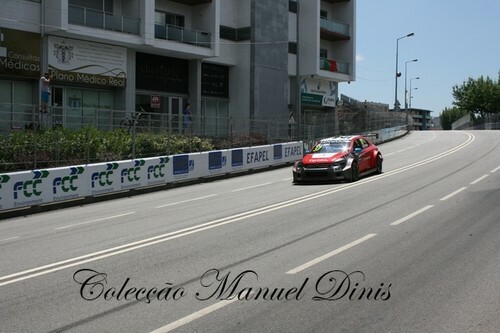 Bons pontos para o campeonato, onde estou 2º. 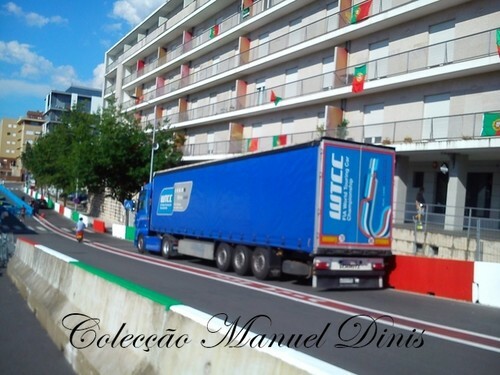 Fico com o sentimento que podia ter lutado pela vitória na 1ª corrida mas o arranque e a primeira curva não me correram bem. De qualquer forma foi um bom trabalho de todos! 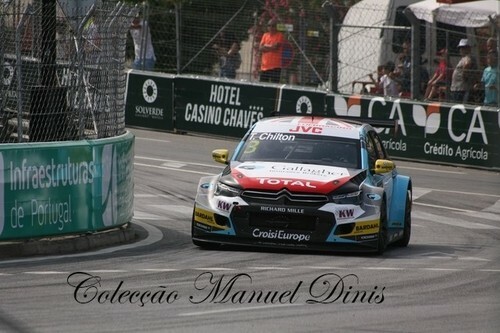 Thanks to Jose Maria "Pechito" Lopez and Tom Chilton, the Citroën C-Elysée WTCC notched up two more victories to maintain its unbeaten record in Argentina. 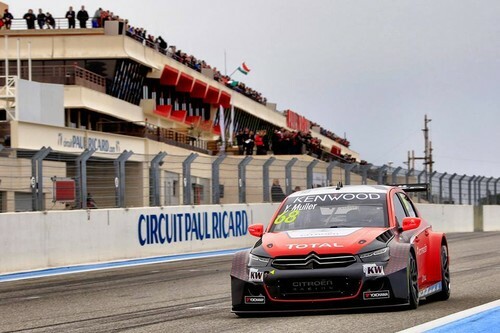 The results at Termas de Río Hondo extend Citroën's and Pechito's leads in the FIA WTCC standings. 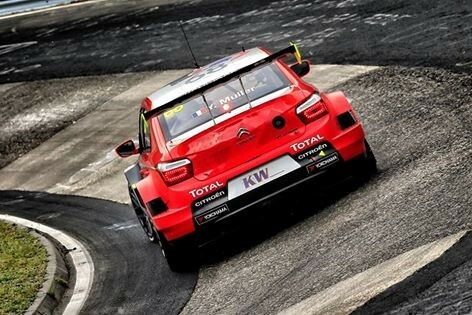 After a podium finish in the opening race, Yvan Muller is closing in on the runner-up spot. 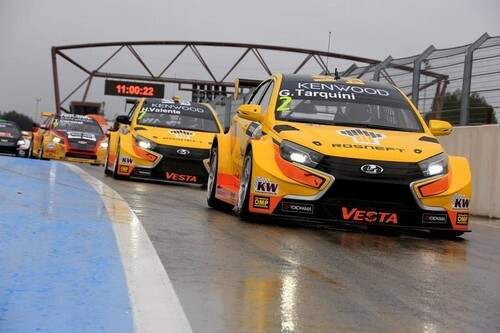 LADA SPORT ROSNEFT left the FIA WTCC Race of Argentina at Termas de Rio Hondo today (7th August 2016) empty handed and searching for the reason for a decrease in pace in a season that has delivered so much to date. 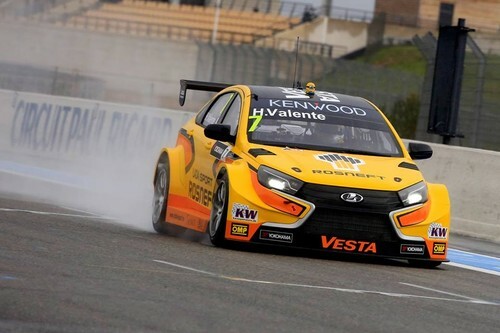 The remote Termas do Rio Hondo Autodromo has been a happy hunting ground for the team in past years with 2014 delivering their maiden podium finish and 2015 being the debut for the all new Lada Vesta model and going on to head the timesheets through practice on its racing debut. 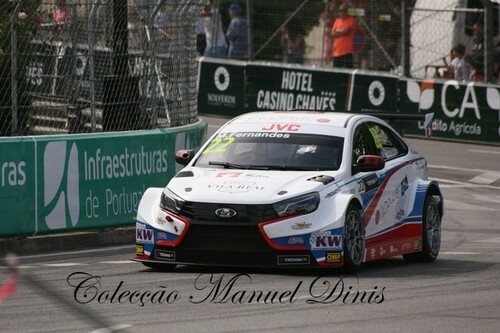 The loss of pace was all the more unusual and unexplained given the good results achieved recently but demonstrates the level of an FIA World Championship where small margins in time will have bigger consequences and so it proved this weekend with the teams three Lada Vesta cars a small step back from the front running pace that saw the cars finish just out of the top ten. “Actually I am quite happy because I think I am improving as a driver, my starts are getting really good and we improved the car a lot through the races. I think if I had started Main Race in say 5th position I could have held that pace so I am looking forward to Japan (the next round of the Championship) to try and recover the ground I lost this weekend”. 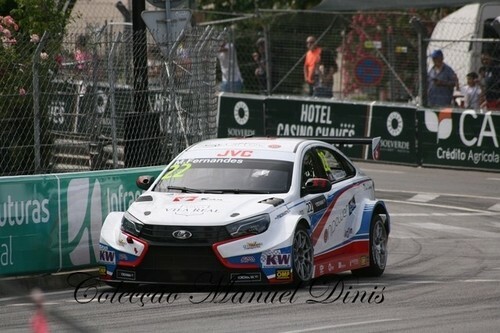 Gabriele Tarquini (P14 and P13) did not enjoy the best of his WTCC championship weekends having played catch up with his car following an untimely need for an engine change in Free Practice “I think we were better than our results really showed today, we had a bad qualifying and that put us to the back and from their its always hard. I think we probably had the pace for the top 10, ok not to fight for a podium this time but better than we showed”. 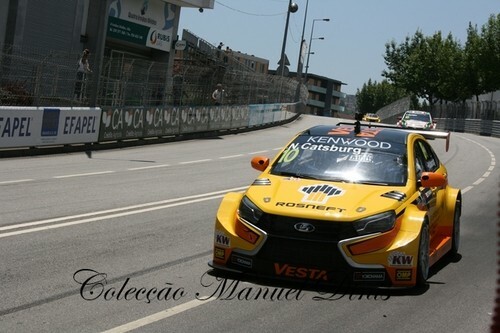 Hugo Valente was disappointed with two DNF’s to show for his weekend’s efforts, which included being the quickest of the LADA SPORT ROSNEFT drivers in qualifying “It was a frustrating weekend for me with being the quickest LADA in qualifying only a very small consolation. In the first race I was battling closely with Nicky having a nice battle but on lap 5 I had a loss of power and had to pit. 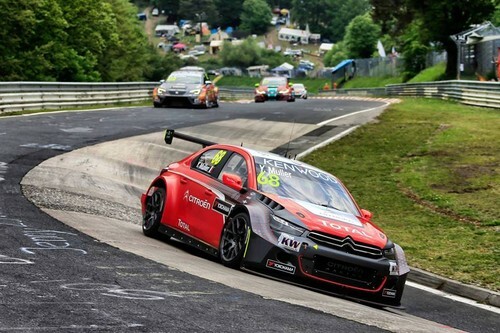 In Main Race I hoped for better but a puncture (probably caused through contact with Demoustier’s Citroen) saw me once again have to retire from the race”. The words of Victor Shapovalov summed up the team’s weekend “We really need to analyze this weekend in great detail. It is hard to understand exactly what it is, one thing or more that affects our pace. The track, the extra weight for sure and perhaps the top speed of others relative to the things that affected us amplified the difference in lap times. For sure we found some things as the weekend went on so we will take these forward and see how things are at the next tracks”. 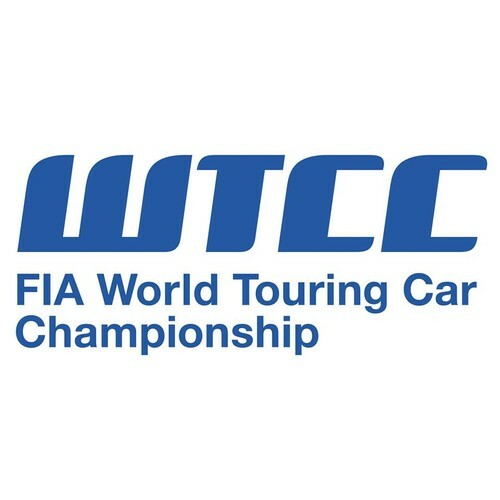 The FIA WTCC now once again crosses continents leaving South America for Asia and the Race of Japan at Twin Ring Motegi on the 3/4th September 2016. 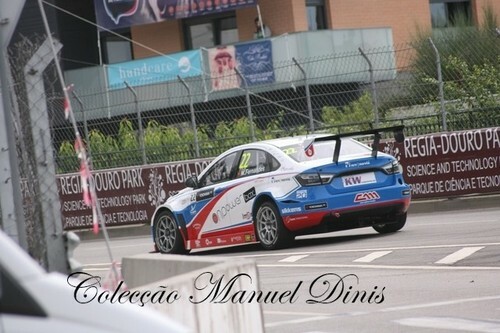 A prova principal da etapa de Vila Real do Campeonato do Mundo de Carros de Turismo (WTCC) iniciava agora a adaptação ao Circuito Transmontano. 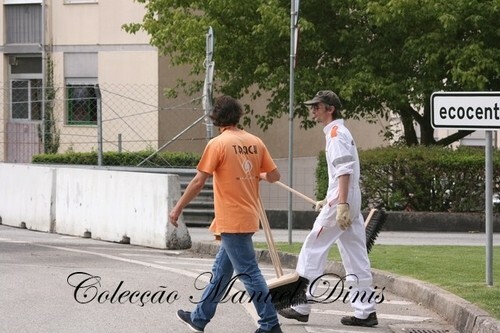 Dia a dia das corridas, terça-feira, 21 de Junho. 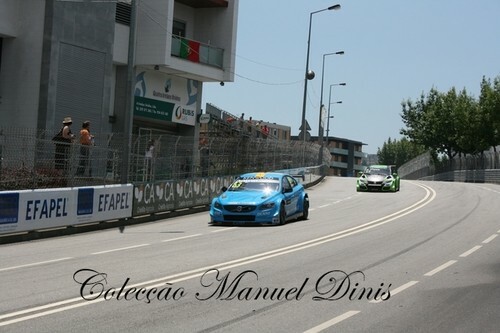 E este fim-de-semana temos os Campeonatos Nacionais de Velocidade em Vila Real para mais um Racing Weekend! 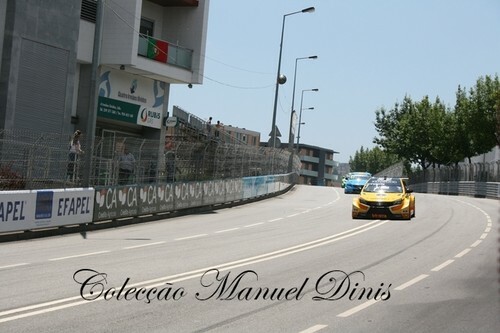 Depois de provas bem “quentes”, em Braga, Racing Weekend parte para Vila Real, onde se vai disputar a segunda jornada do Campeonato Nacional de Velocidade Turismos (CNVT) e o fim-de-semana de 24 a 26 de Junho, promete ser ainda melhor! 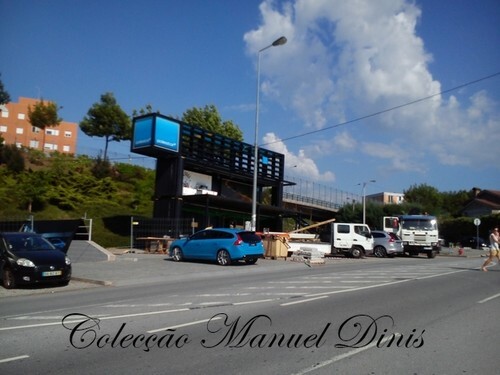 Vila Real é uma cidade em que a paixão pelo mundo do motor é vivida de uma forma especial. 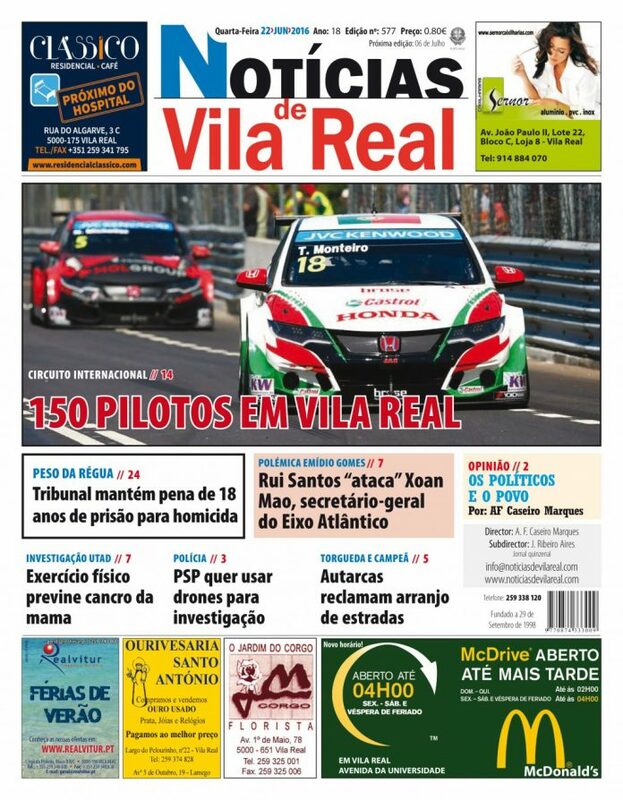 A tradição de grandes corridas no passado e na actualidade faz com que o público compareça e com que os pilotos se sintam especialmente motivados em participar. 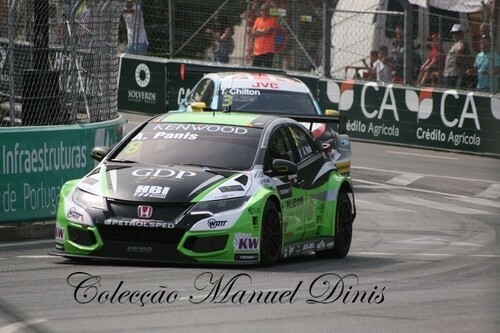 Logo à partida as listas de inscritos são um espelho disso e garantem o sucesso do próximo Racing Weekend. 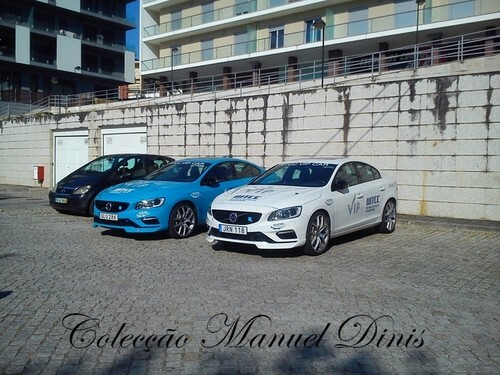 Na prova rainha, o CNVT, aos inscritos na jornada de abertura, juntam-se agora Luís Martins e Luís Nunes, num Seat Leon TCC. 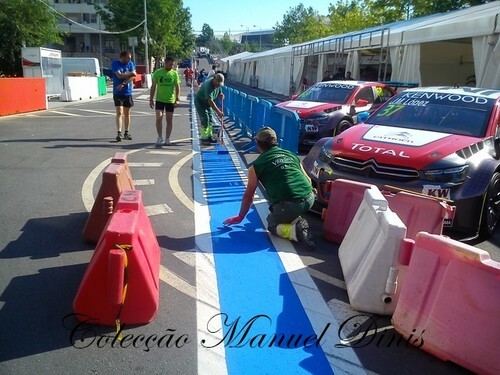 Quanto às equipas que participaram em Braga, recorde-se que a dupla Francisco Carvalho e Nuno Batista dominaram em Braga, jornada em que José Rodrigues, Manuel Gião, Francisco Mora, Cesar Machado e o Vilarealense, detentor do record do circuito, Rafael Lobato, deram igualmente nas vistas. 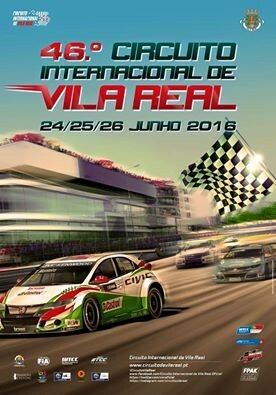 No mais clássico dos circuitos nacionais, os Legends e os Clássicos juntam-se naturalmente à festa. 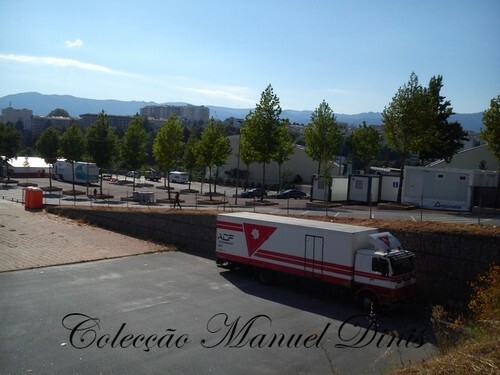 Em Vila Real, vamos ter assim, duas grelhas de partida bem recheadas, com 48 carros em cada. Com os Clássicos e Clássicos 1300 a correrem juntos. 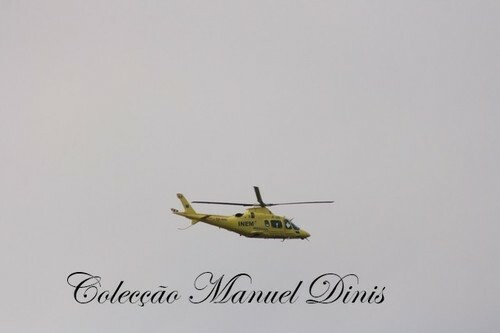 O programa arranca sexta-feira de manhã, logo pelas 9,00 horas, sessões de treinos livre e de qualificação preenchem o primeiro dia, estando as corridas agendadas para Sábado e Domingo. 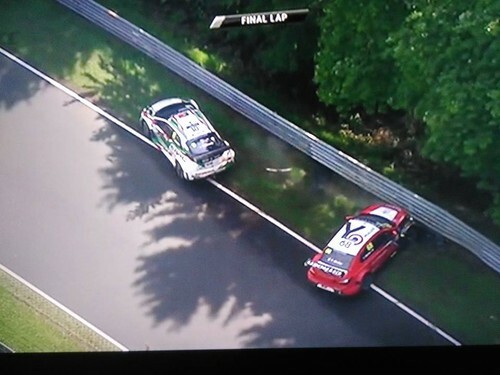 Este fim de semana é em Nordschleife. 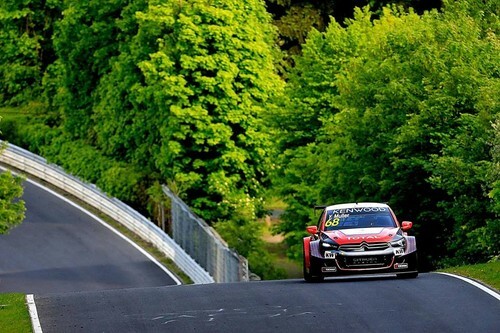 Correr no fim de semana que passou em Spa Francorchamps e no próximo em Nordschleife é para poucos. Sou um sortudo. Vamos com tudo este fim-de-semana! 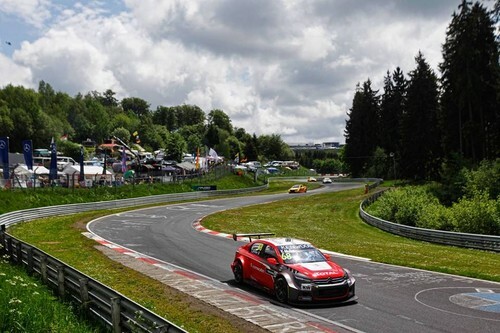 LADA SPORT ROSNEFT is targeting divine results at ‘The Green Hell’, with the FIA World Touring Car Championship (WTCC) returning to the Nürburgring Nordschleife for a second consecutive year (27-28 May). 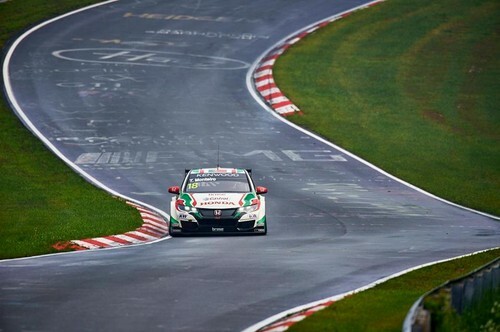 The Nordschleife is the world’s longest and most demanding racetrack, with a 25.27 km configuration, that officially encompasses 73 corners, inclines of up to 17 percent and several changes in the track surface, so, to win the WTCC’s Race of Germany is no mean feat and Nick Catsburg insists that track knowledge is somewhat overrated. 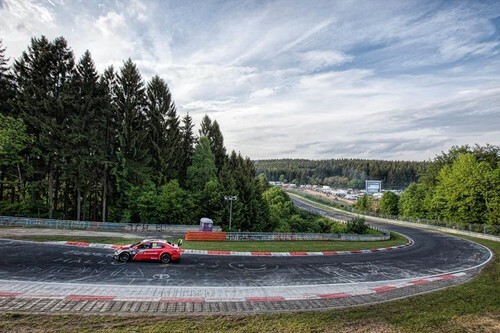 “I have competed in the Nürburgring 24 Hours twice and I have also raced in five VLN events on the Nordschleife, but driving the LADA Vesta TC1 will be very different for me, since I have only raced GT3 cars on the circuit,” said Nick Catsburg. 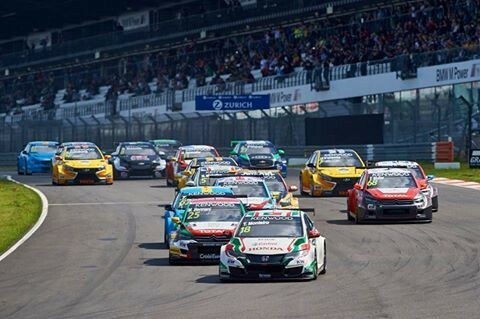 LADA SPORT ROSNEFT expects representatives from LADA fan clubs in Germany and also German dealers to turn out for the WTCC’s annual visit to the Nürburgring this weekend. 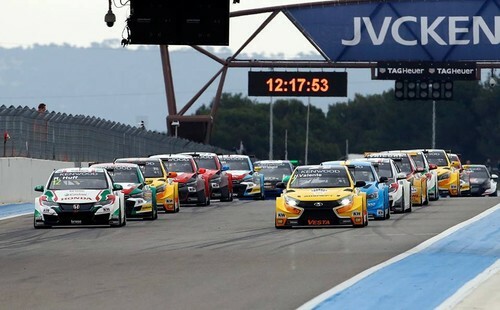 Germany has always been a key market in Western Europe for LADA and the sales were traditionally strong and stable, and, with sales of the new Vesta model booming in Russia, LADA SPORT’s participation in the WTCC Race of Germany is sure to attract a lot of interest among fans of the brand. The attention will be no doubt be amplified by the fact that there has been more consistency in LADA SPORT’s results than ever before in 2016. 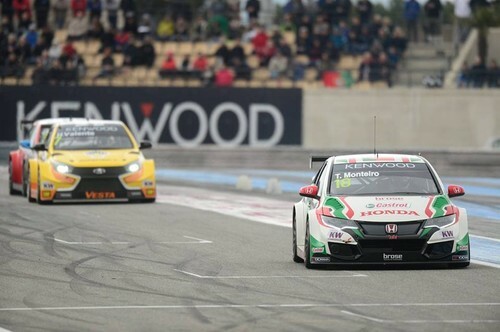 Its drivers – Nick Catsburg, Gabriele Tarquini and Hugo Valente – have been a constant threat for pole positions and podium finishes in the first four rounds of the 2016 season. 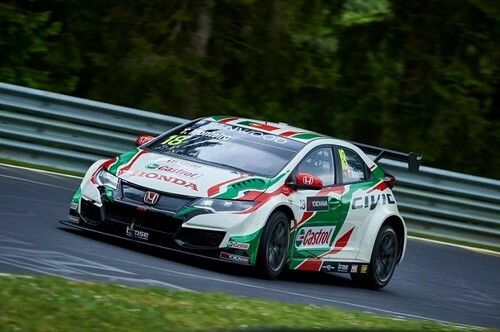 It’s all to play for heading into the WTCC Race of Germany, and Gabriele Tarquini says: “Despite my decades of experience in motorsport, I had never raced on the Nürburgring Nordschleife before last year. It is very different from a normal circuit for being so long and because it’s so difficult to remember all of the corners. 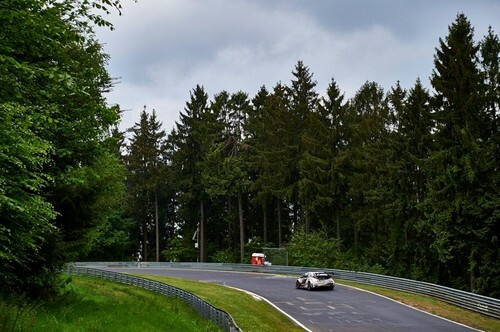 Hugo Valente added: “The Nürburgring Nordschleife is the most difficult circuit in the world and you have a very small margin for error. There is always something to surprise you and it’s all about treating the track with respect and learning it one step at a time. The challenge makes it very exciting and I love it! 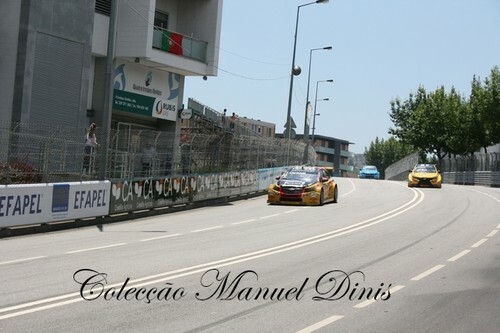 It’s super-fast and you need to find the correct rhythm without overdoing it, otherwise you will end up in the barriers. 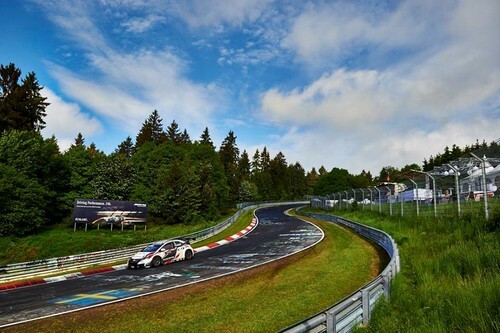 The WTCC made its ‘Ring’ debut in 2015 and the Championship’s Race of Germany will once again run in support of the 24 Hours of the Nürburgring on the combined Nordschleife and Grand Prix track this weekend. 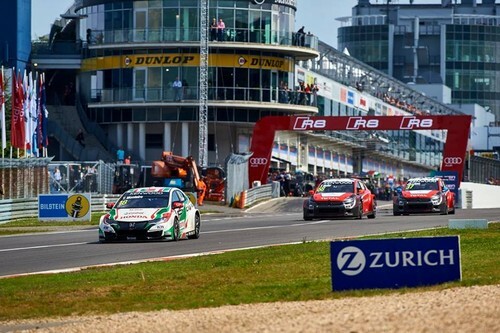 Some 150 cars will compete in the twice-around-the-clock endurance race and LADA SPORT’s Catsburg is becoming something of a Nürburgring 24 Hours stalwart, having entered the race twice before. 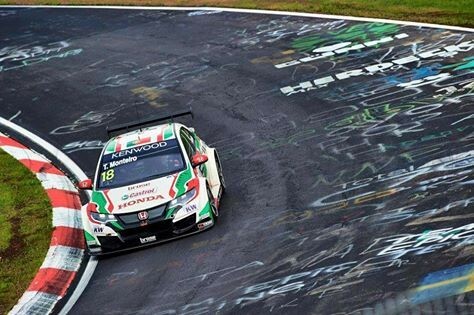 Jose Maria "Pechito" Lopez took top spot in Free Practice 1 for the FIA WTCC Race of Germany 2016 at the Nürburgring Nordschleife! 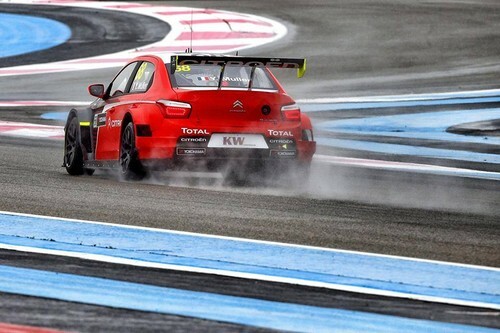 World champion López set a best lap of 8m44.236s early in the one-hour session, finishing up a second clear of Citroën Racing team-mate Yvan Muller in a reversal of the positions from Testing held earlier on Thursday. 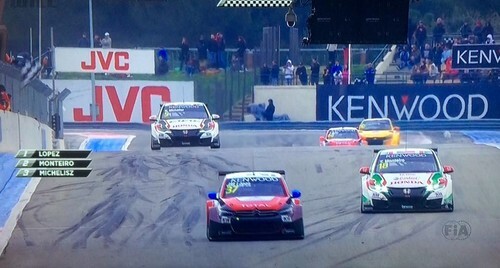 WTCC Trophy competitor Tom Chilton took an impressive third, just three tenths away from Muller. 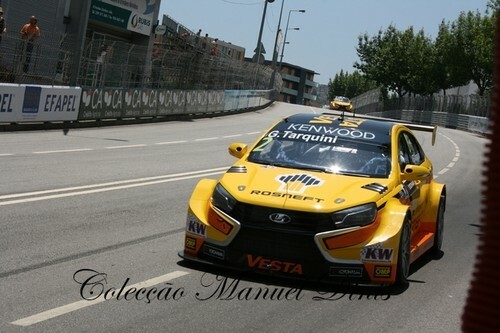 Nicky Catsburg was fourth for LADA Sport WTCCin front of Rob Huff, who triggered an early end to the session with two minutes to go after he crashed his Honda due to a suspected puncture. He was reportedly unhurt in the impact, but has been taken for checks. 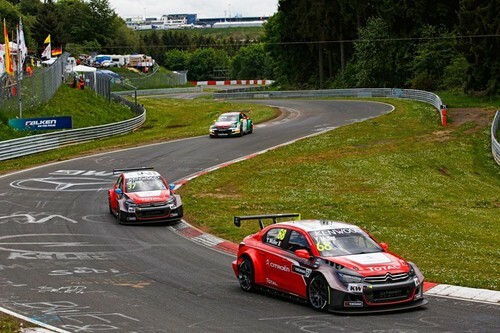 1er et 2e des deux premières séances d'essais sur la Nordschleife. 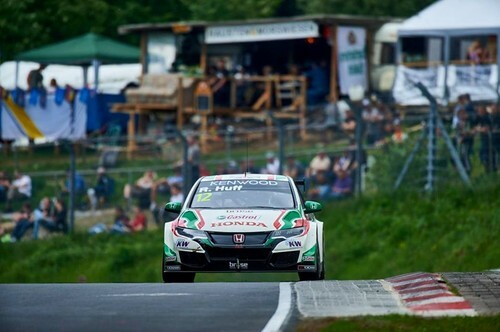 Qualifications demain à 12h45 / 1st and 2nd of the first practice sessions at the Nordschleife. Qualifying tomorrow at 2:45 pm. Honda excluída das corridas da Hungria e Marrocos. 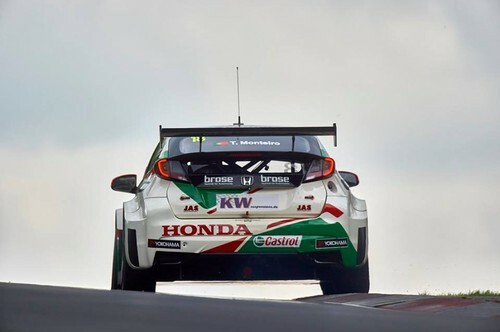 The cars of Honda have been excluded from the results of the last two rounds of the World Touring Car Championship following an investigation by the technical delegate and the stewards at the Nürburgring, which found the team’s flat floors and rear hatch not in compliance with the technical regulations. 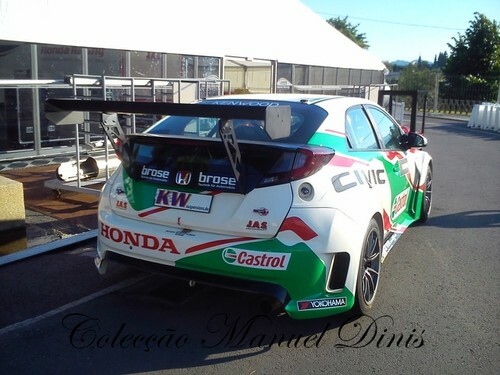 The investigation which was first announced in Hungary at the end of last month has continued on as the technical delegate investigated the team’s flat floor, which has now included the rear hatch in respect of Hungary’s results. “1. It is different to the part featuring in the homologation form extension 5747 210/07 ER as well as the part presented during the homologation inspection, breach of article 263.003 and 263.004 of Appendix J. “2. 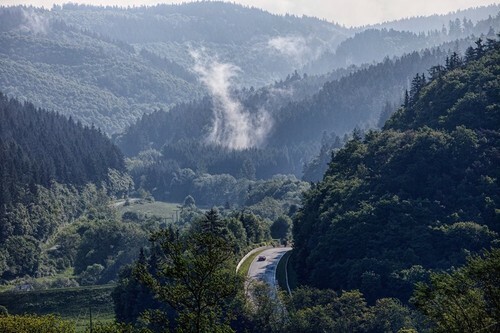 Its construction is not in compliance with the definition of composite applicable at the time of the homologation of the extension A5747 210/01 ER (Article 251.2.1.11 of the Appendix J), breach of article 263.902 of Appendix J. 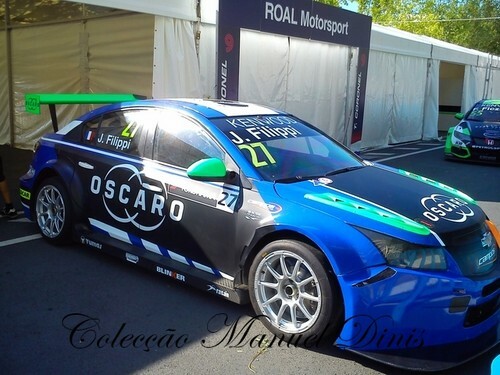 The exclusion applies to all three factory cars as well as the privateer entry of Ferenc Ficza for Zengo Motorsport. 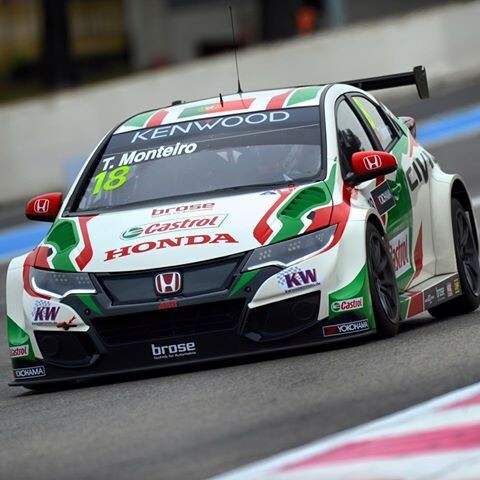 Tiago Monteiro, who is second in the championship, stands to lose his two podium results from the last two weekends while Rob Huff would lose his Morocco race victory, and all points scored during the races and qualifying. Honda have already stated their intention to appeal the decision. 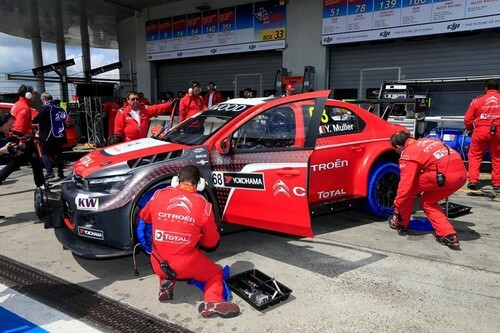 “We are total convinced that our flat floors are in full compliance with the current FIA World Touring Car Championship technical regulations,” said the team in a statement. 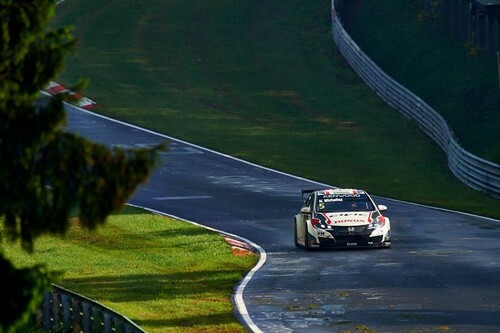 Jose Maria "Pechito" Lopez took the DHL pole position for the Main Race atFIA WTCC Race of Germany 2016 with a sensational record lap of theNürburgring Nordschleife. 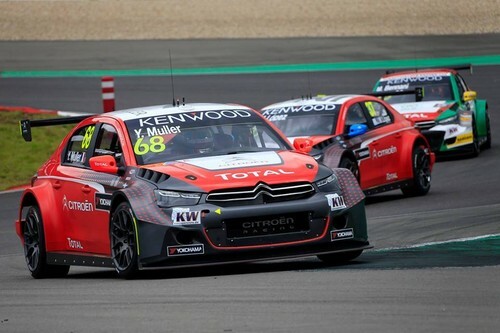 The two-time world champion was already sitting on provisional pole when he achieved an 8m35.541s lap on his final attempt, moving 3.573 seconds clear of Citroën Racing team-mate Yvan Muller at the top of the times and bettering his qualifying record from 2015 by 1.8 seconds. 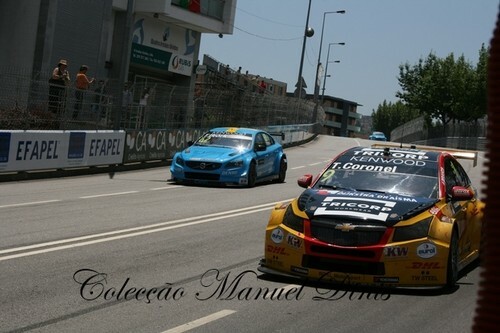 Tom Coronel produced another outstanding qualifying performance to claim third as the best WTCC Trophy runner in his ROAL Motorsport Chevrolet Cruze. 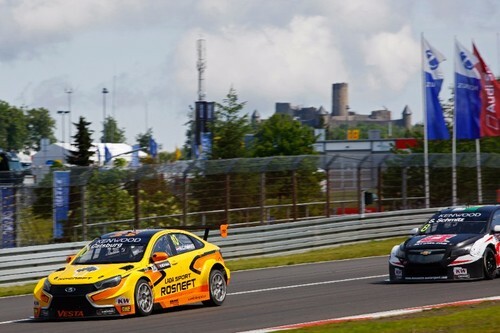 Qualifying for tomorrow’s FIA World Touring Car Championship (WTCC) Race of Germany on the infamous Nurburgring Nordschleife concluded with Nick Catsburg leading the LADA SPORT ROSNEFT charge from within the top five (Friday 27 May). 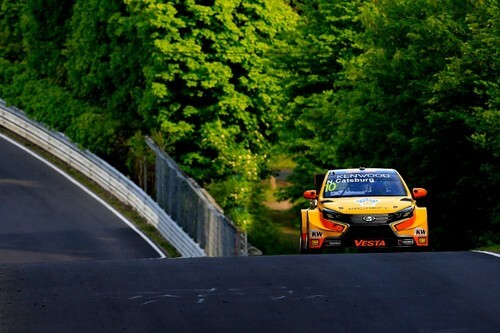 The Dutch driver pushed his LADA Vesta TC1 to the sixth fastest time on the 25.3km circuit, which is nestled in Germany’s wild and picturesque Eifel Mountains, therefore he will start Saturday’s (28 May) Opening Race from P5 under the reversed grid rules and the Main Race from P6. 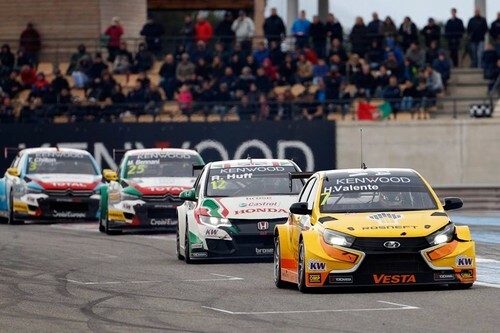 However, the strongest session for LADA SPORT ROSNEFT was undoubtedly FP2 on Friday morning, as all three LADA Vestas could be found in the top five positions, with Italian touring car star Gabriele Tarquini holding second, France’s Hugo Valente third and Catsburg fifth. Unfortunately, the all-important qualifying session didn’t quite go to plan. 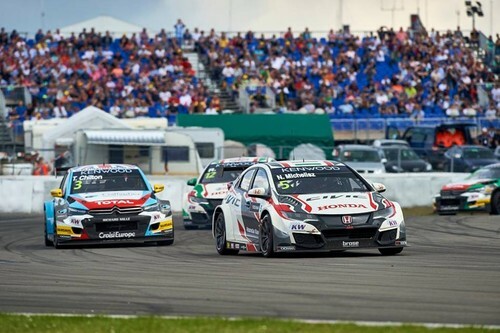 The typical three-part qualifying format has been replaced with a single hour-long session for the WTCC’s Race of Germany on what is easily the world’s longest race circuit, but the track was also shared with competitors from the European Touring Car Championship (ETCC). 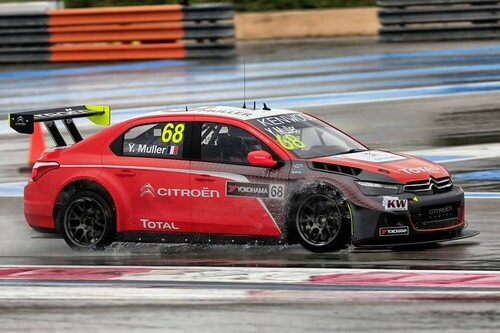 Crashes involving runners from both the ETCC and WTCC limited drivers to only a few flying laps, and Valente was one unfortunate casualty, when a tyre failure sent him spearing into the barriers at high speed close to the end of qualifying. 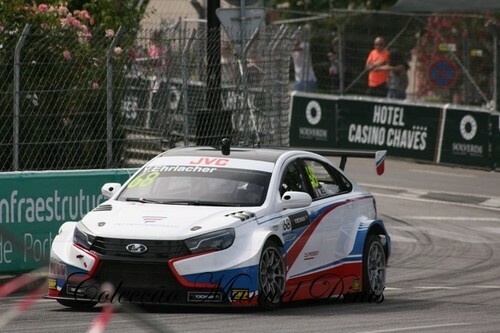 The Frenchman will subsequently start both races from 13th, one place behind LADA SPORT teammate Tarquini. 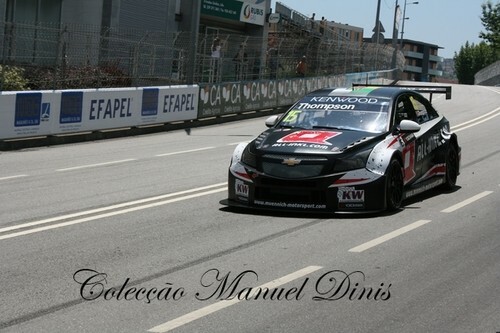 10º na qualificação o que significa que vou sair da pole para a primeira corrida! 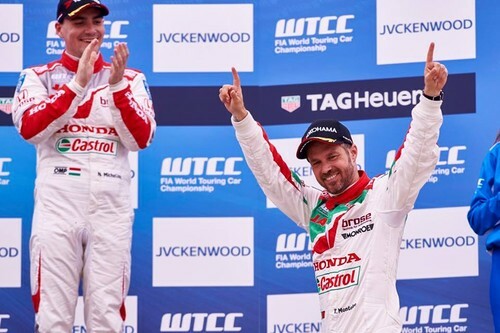 No mais difícil e exigente circuito do mundo, Tiago Monteiro garantiu esta tarde o primeiro lugar da grelha para a primeira corrida do WTCC em Nurburgring Nordscheleife, o conhecido “Green Hell”. 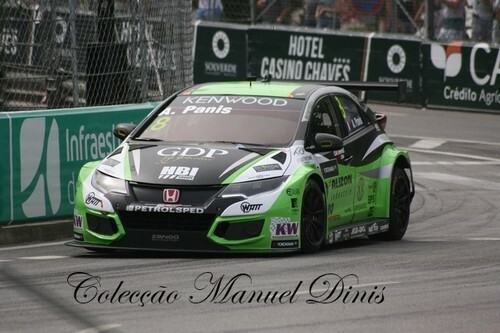 MAC3 victory and pole position for Tiago Monteiro for the opening race. After a challenging weekend, that's a pretty good result in qualifying. 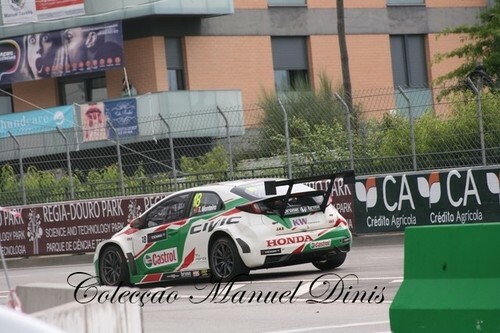 Michelisz Norbert starts P4 for the main race and P6 for the opener. Rob Huff P8 for main race and P17 due to engine-change penalty in opener. That was a big moment but thankfully I am ok and Yvan as well. I'm in the hospital doing some exams just for precaution. I'll be back stronger than ever in Moscow"
WINNER! 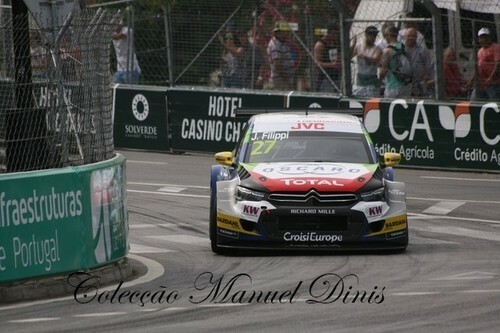 🎉 2nd victory Jose Maria "Pechito" Lopez today. 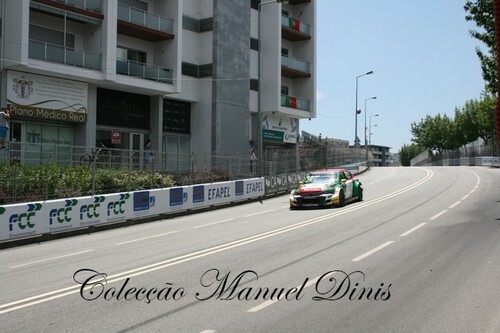 A dramatic day with a puncture-induced high-speed crash for Tiago Monteirowhile leading - from which he emerged unscathed - plus two podiums forMichelisz Norbert and a terrific recovery drive for Rob Huff. 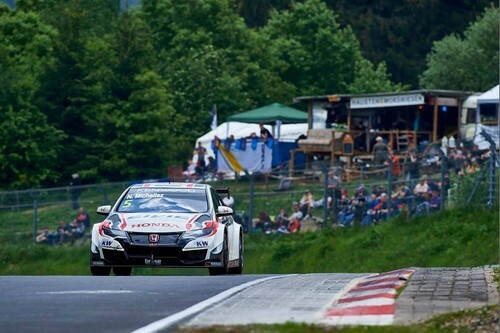 Jose Maria "Pechito" Lopez ruled the legendary Nürburgring Nordschleife by winning both encounters at FIA WTCC Race of Germany. 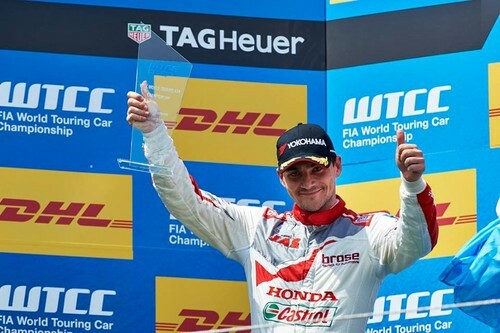 The Citroën Racing driver charged through from ninth on the grid to claim the Opening Race laurels before converting his DHL pole position into victory number five of 2016 by taking the Main Race triumph. 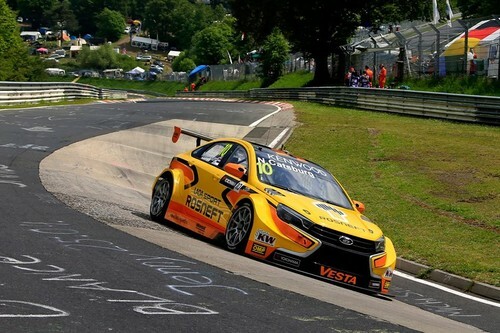 LADA SPORT ROSNEFT came away from the FIA World Touring Car Championship (WTCC) Race of Germany on the world-renowned Nurburgring Nordschleife with a pair of top six finishes (Saturday 28 May). 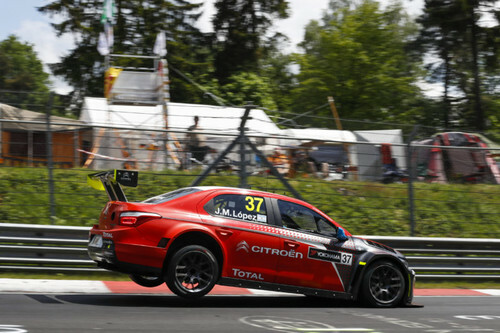 French racer Hugo Valente led the LADA charge in sixth in the Opening Race and Nick Catsburg from the Netherlands finished sixth in the day’s Main Race on the 25.3km racetrack, nestled deep in Germany’s Eifel Mountains. 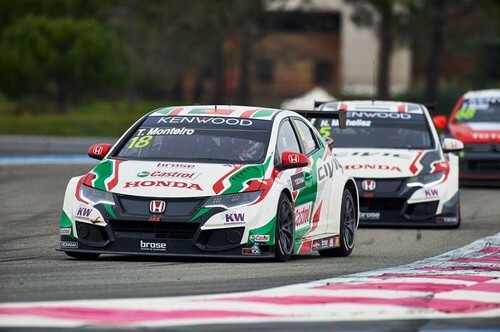 The Opening Race started without haste, but turned into an incident-packed affair, as a final-lap tyre failure for leader Tiago Monteiro initiated a dramatic collision that took him and Yvan Muller out of the race. 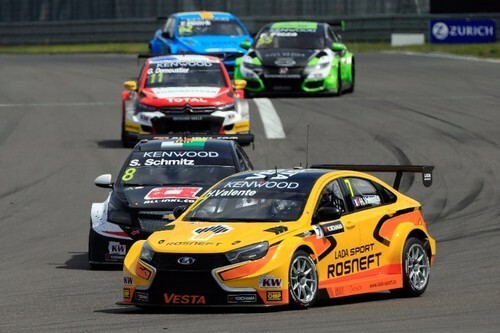 All three LADA SPORT ROSNEFT drivers finished inside the top ten and Valente was satisfied to lead the Russian team’s charge in sixth, with Tarquini and Catsburg shadowing him in seventh and ninth respectively. 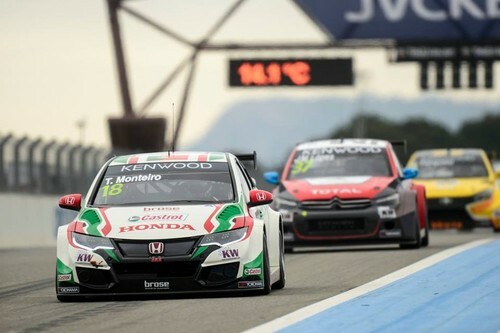 However, attention was squarely on the durability of the WTCC’s control tyres, as the failure that claimed Monteiro was the last of many at ‘The Ring’, with Valente himself a victim of two blow outs in free practice and qualifying. 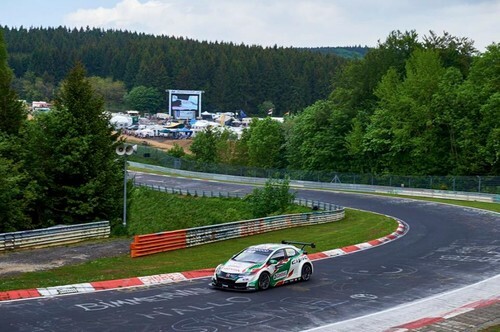 A field of concerned and frustrated drivers lacked confidence after being advised not to push and to avoid the kerbing while flying through the forest on the Nordschleife, and the instructions only served to dilute the on-track action in the Main Race. 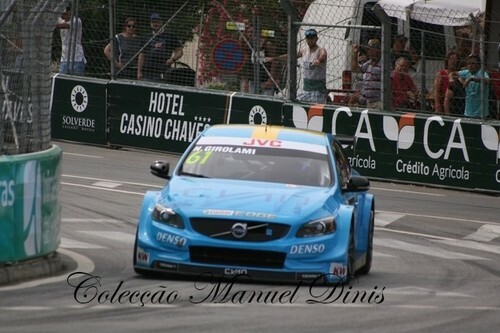 Tarquini and Valente sat in seventh and eighth after a typically physical start, sticking their elbows out and muscling their way through the first corner complex to commence a race-long battle with the Volvos of Fredrik Ekblom and Thed Bjork. 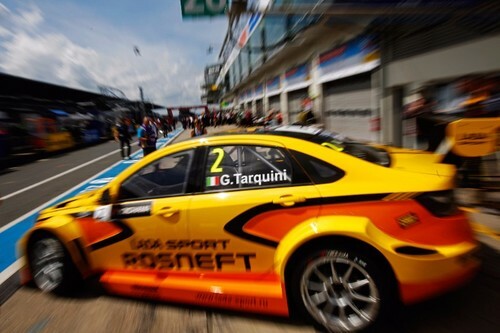 Italian touring car veteran, Tarquini, drove the widest LADA Vesta on the track in defence of seventh place and, although he and his young French teammate, Valente, soaked up immense pressure, they were ultimately out-dragged in the Nordschleife’s protracted acceleration zones and crossed the line in eighth and tenth, with Catsburg coming home in a solid sixth. 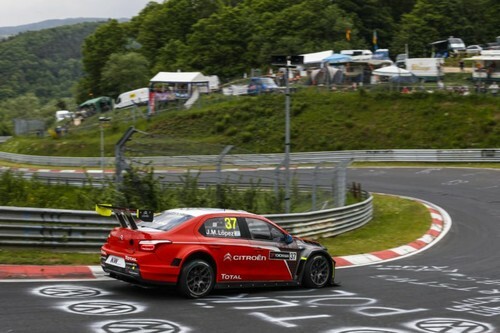 Reflecting on generally positive, if not slightly frustrating outing at the Nurburgring, Catsburg said: “I didn’t feel comfortable in the car because we were all a bit afraid about the tyres, so I took it easy and just brought it home. Had we been able to push, I think a podium might have been possible in the Main Race”. 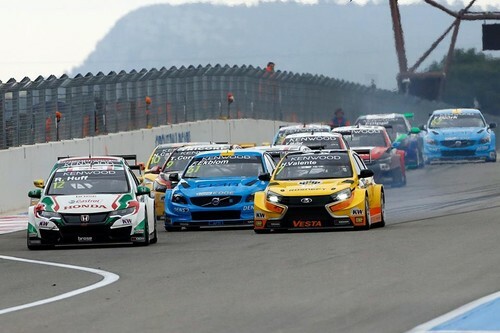 The FIA World Touring Car Championship (WTCC) moves on to LADA SPORT ROSNEFT’s homeland, Russia, and the Moscow Raceway for Rounds 11 and 12 of the 2016 season (10-12 June). 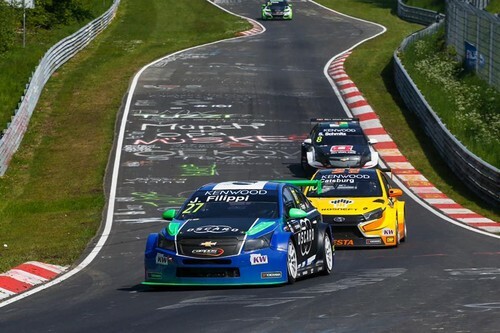 José María López doubled up at FIA WTCC Race of Germany by winning the Main Race at the Nürburgring Nordscheife after a battle with Norbert Michelisz. 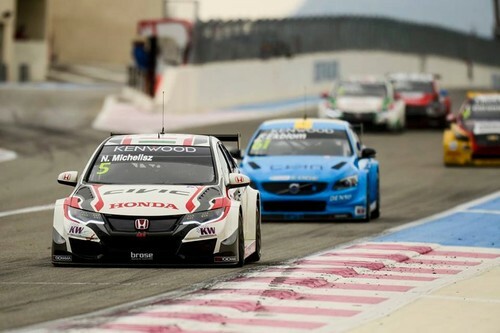 Honda driver Michelisz, promoted to the front row of the grid, made a better start than pole-sitter López to take the lead down the inside of Turn 1. López quickly responded though and reclaimed first place around the outside of the Schumacher S.
He led by three seconds at the end of the first lap, but that advantage was slashed to less than a second at the end of lap two. 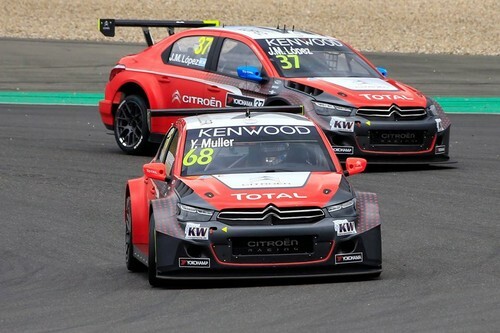 The gap between the Citroën and the Honda would come down again on the third and final tour but López held on to win by 0.435 seconds. 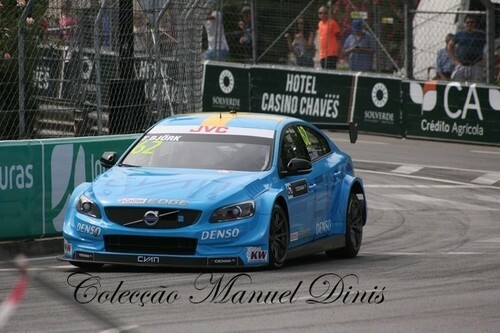 Tom Chilton was again the top WTCC Trophy driver and again on the outright podium in third. Rob Huff got very close to his fellow Briton on the final lap – even making contact – but had to settle for fourth. 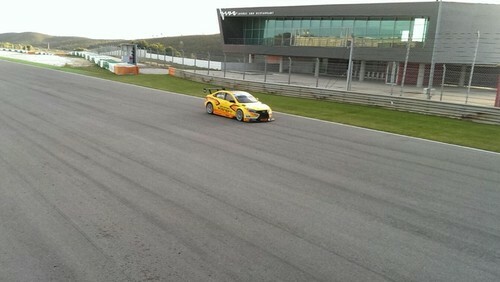 Mehdi Bennani passed Nicky Catsburg to finish fifth. 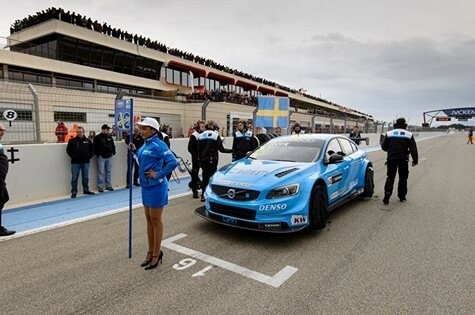 Polestar Cyan Racing had a great race, with its two drivers Fredrik Ekblom and Thed Björk working their way up to seventh and eighth respectively, past the LADAs of Gabriele Tarquini and Hugo Valente. 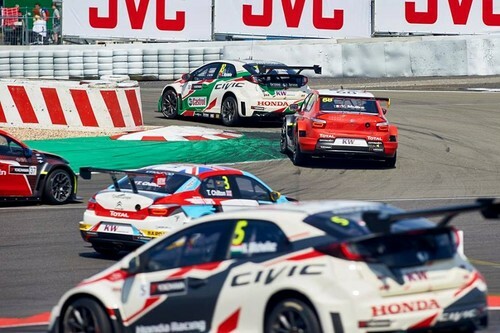 There was collisions, controversy and a whole lot of drama during the FIA World Touring Car Championship (WTCC) Race of Germany and the ADAC Zurich 24 Hours of the Nurburgring (27-29 May). To be honest, it was shaping up to be a nightmare weekend for me. 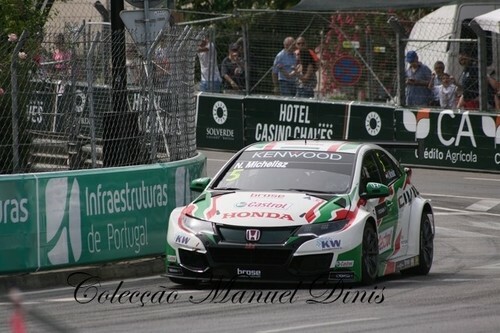 In the WTCC, some sort of failure on my Honda caused a massive shunt at 220kph in free practice, necessitating an engine-change that resulted in a ten-place grid penalty and resigned me to 17th on the Opening Race grid. 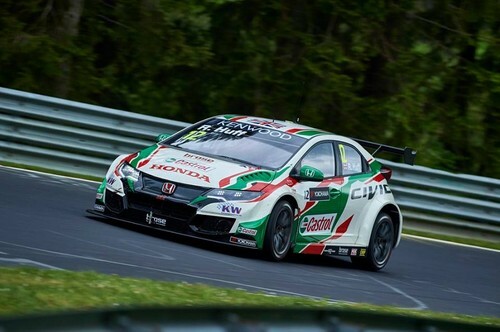 The Castrol Honda Racing boys did a phenomenal job to repair the car, I had a little trip to the Medical Centre and all was fine by the time we reached qualifying. We looked pretty quick in practice, but my Civic Type-R wasn’t the same and didn’t fill me with confidence after its brush with the barriers. I qualified seventh and successfully raced to fourth place in both the Opening and Main Races, which, considering how the week began, is pretty good going. 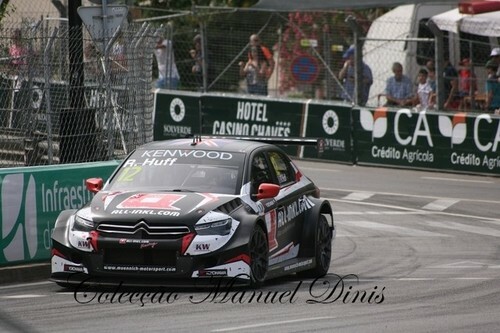 The main story of the Opening Race was the incident involving my teammate Tiago Monteiro and Citroen’s Yvan Muller; a tyre failure sent Tiago into a terrifying high-speed spin that saw him go airborne. Yvan simply had no way of avoiding the wayward Honda, contact was made and they were both out on the spot. 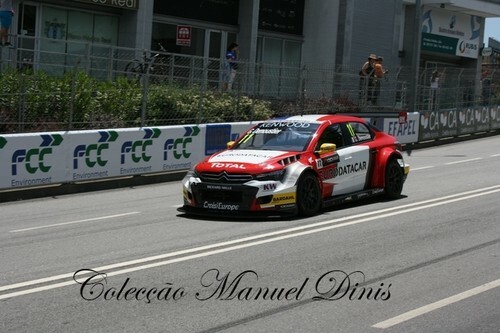 Thankfully, Tiago was unhurt, but the crash initiated a big debate over the durability and safety of the WTCC’s Yokohama tyres. There was a lot of fuss and, although I believe this should be analysed and we do need a special ‘Nurburgring tyre’, I know my car is built to the highest level by a very professional set of people. I hit the wall hard in sixth gear and I didn’t even have a bruise or a stiff neck to show for it! 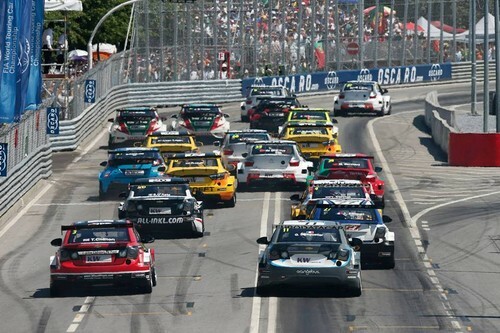 The fact is, we’re racing drivers and, if you’re concerned about your own safety, don’t race! It’s as simple as that. 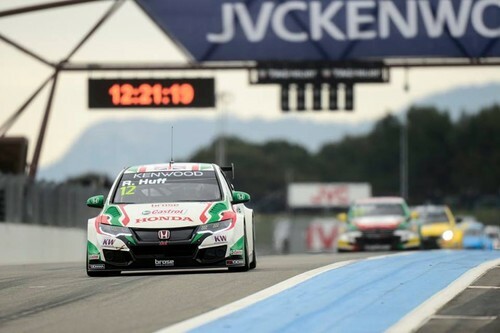 However, the spotlight was also on Honda after WTCC stewards and the FIA Technical Delegate deemed the Civic Type-R TC1’s flat floors to be in breach of the championship’s technical regulations. 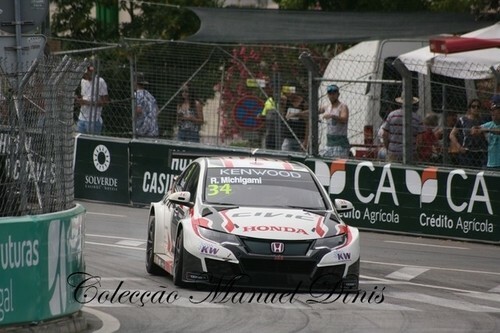 The team was disqualified from the Hungarian and Moroccan results and many were seeking my reaction to the exclusions, but I don’t feel it’s my place to comment; I just drive the car and the WTCC regulations and how Honda interprets them is effectively nothing to do with me. 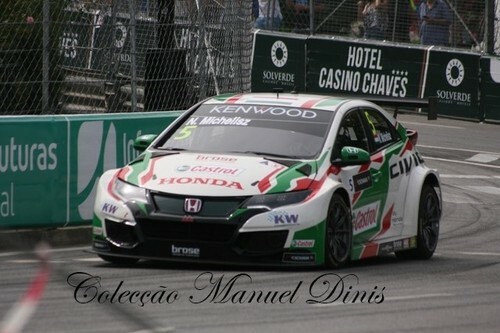 Naturally, I’m very disappointed, but Castrol Honda Racing is adamant that its floors comply with the regulations and it will appeal in the coming weeks, although the decision is shameful for the fact that the WTCC revolves around its fans and yet, after a fantastic start to the season, there’s now a feeling that the ruling has denied us a good title fight. I just wanted to get my head down and move on, and that’s pretty easy when you’ve got a Black Falcon Mercedes-Benz AMG GTS waiting to be driven in the Nurburgring 24 Hours! I was due to test the car earlier in the week, but these plans were cancelled because – and you won’t believe me when I tell you – my plane’s cockpit windows smashed on take-off! We turned around and made an emergency landing – a new experience for me – but I was unable to get a seat on another flight to Germany and my first taste of the car would be in qualifying on Friday (27 May). Free practice was curtailed by a gearbox failure and an off for one of my co-drivers and my experience of the AMG GTS consisted of three qualifying laps – one more than my teammates, who know the car well. The first session was primarily about making it into the top 30 in order to get a blue light, which is basically a permanent blue flag, but Indy Dontje did a great job to put us third. 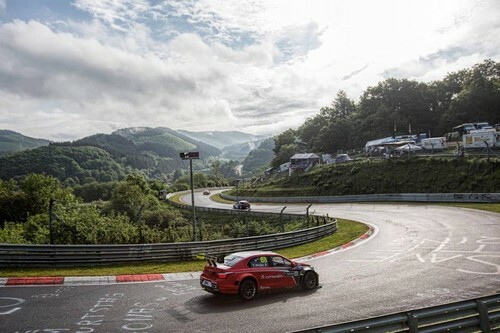 However, the heavens opened at ‘The Green Hell’ just prior to the top-30 shootout on Friday night, so the idea was to simply complete two sensible laps and bring the car home, which we did in 28th. It was always going to be an interesting 24 hours, but the start was unbelievable. The race had barely begun when, out of nowhere, massive amounts of ice fell from the sky; several cars crashed and countless others became stranded, their slick tyres unable to grip on what became an ice rink. 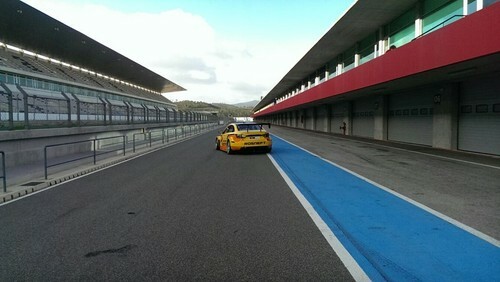 Sessão de testes à chuva hoje aqui em Paul Ricard. 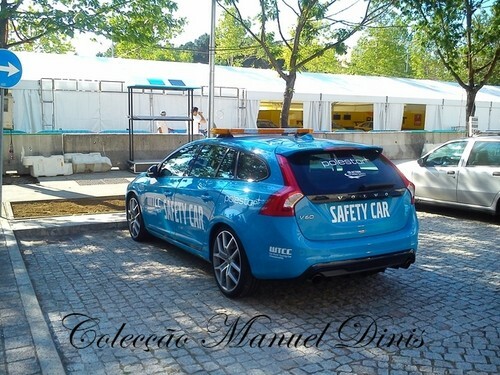 Tudo ok com o carro por isso amanhã na qualificação é atacar e ver onde estamos! 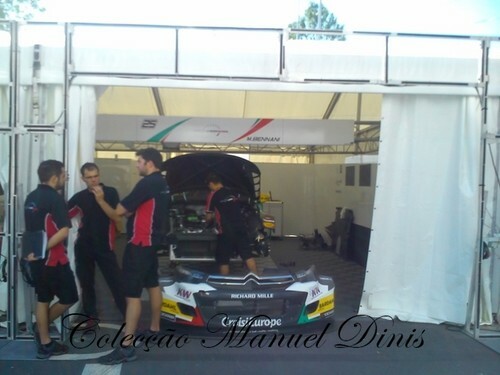 — em Circuit Paul Ricard OFFICIEL. Fui o mais rápido esta manhã no treino livre. Por agora tudo ok mas o que conta é agora à tarde na qualificação. Vamos com tudo! 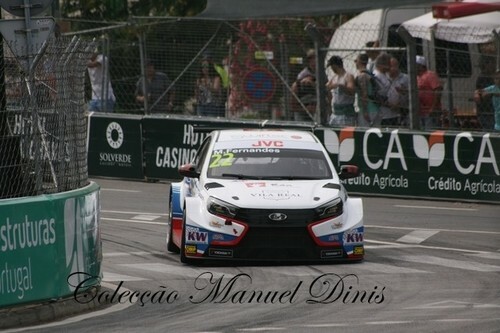 P.S: já agora o Kubica não se mudou para o WTCC, pelo menos por agora. 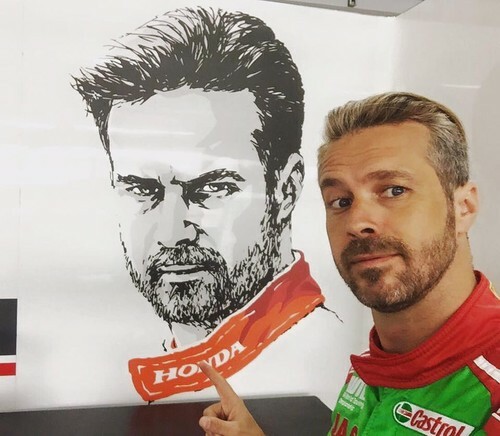 Foi a minha piada do dia das mentiras 😂#tiagosworld18 #workhardplayhard#workhardplayhardtm18 #castrol #honda#hondaracing #brose #fludoswisswatch#monroesafetyambassador #10thseason — em Circuit Paul Ricard OFFICIEL. Boa qualificação! 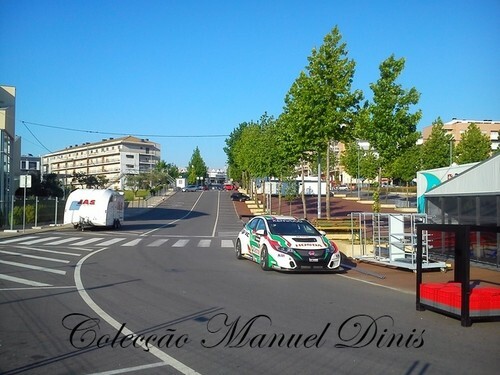 Amanhã arranco de 2º para a primeira corrida aqui de Paul Ricard. 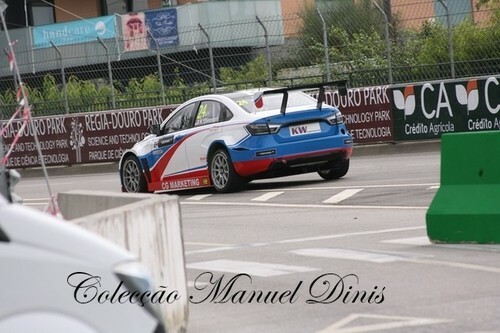 Sinto-me muito confiante com o carro e toda a equipa Honda fez um excelente trabalho, agora amanhã é atacar e tentar trazer a vitória para Portugal! 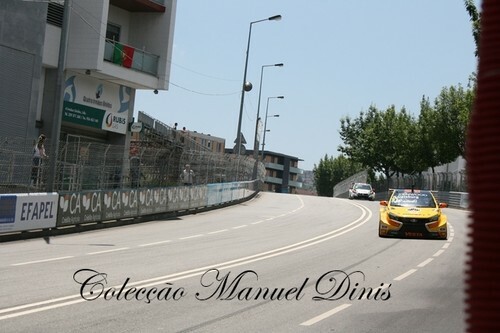 Corrida 1 em direto no Eurosport as 11:00 e depois a segunda as 16:00. Conto com o vosso apoio!!! 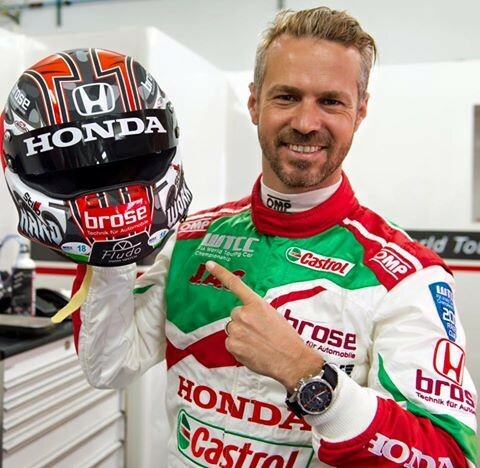 #tiagosworld18 #workhardplayhard#workhardplayhardtm18 #castrol #honda#hondaracing #brose #fludoswisswatch#monroesafetyambassador #10thseason — a sentir-se motivado em Circuit Paul Ricard OFFICIEL. "Guess who’s back! 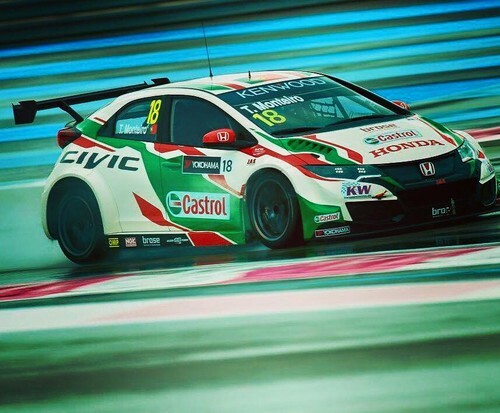 Career victory number 28 is a pretty special one, not only because I’ve had to wait quite a while to make a return to the top step of the podium, but because it was achieved in my first ever FIA WTCC outing with the Castrol Honda Racing WTCC team at Circuit Paul Ricard OFFICIEL (1-3 April) - http://tinyurl.com/zueakyw"
Première course WTCC de la saison, premier podium général pour Mehdi Bennani Officiel et première victoire dans le WTCC Trophy, grâce notamment à un super départ smile emoticon Après de belles batailles, Greg Demoustier prend le point de la 10e place et monte sur la 3e marche du podium du WTCC Trophy. 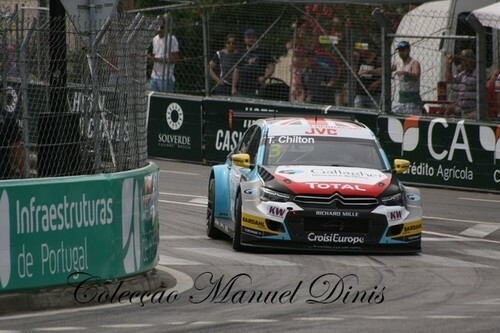 Tom Chilton termine aux portes du Top 10. 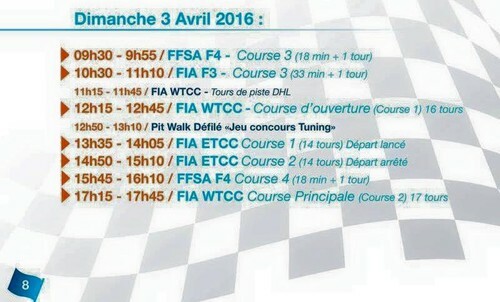 Course 2 à 17h15! 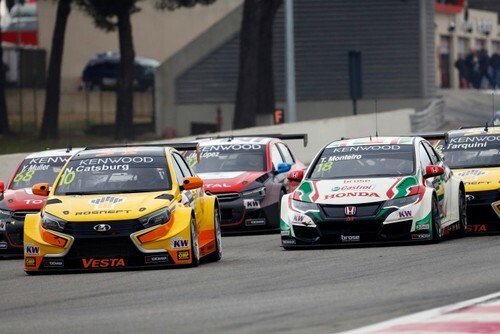 The first FIA WTCC race of 2016 starts in 15 min! 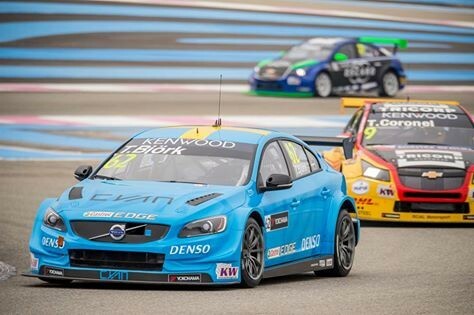 Thed Björk climbs 9 positions in FIA WTCC Race 1 at Paul Ricard to finish P7 from P16 on the grid! 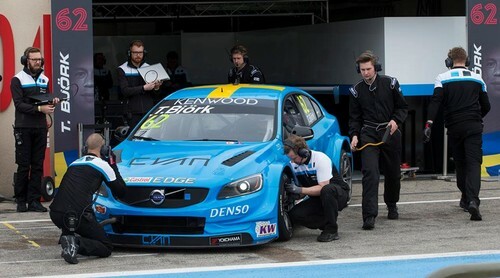 Team mate Fredrik Ekblom had to retire due to rear-suspension damage sustained at the chaotic start of the race. 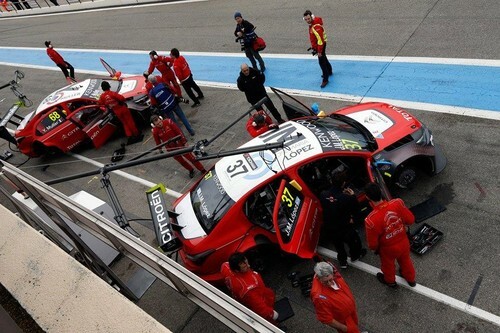 The team has managed to repair the car and he will be ready for the second race. 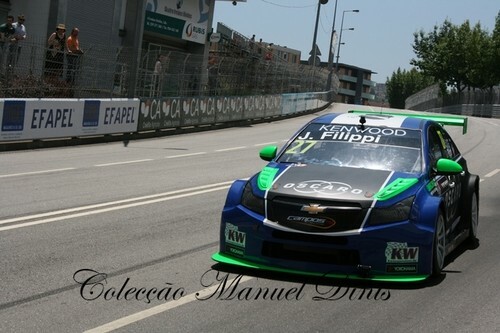 The team has repaired Fredrik Ekblom’s car and he will be on the grid forFIA WTCC Race 2, starting at 17:15 CET. 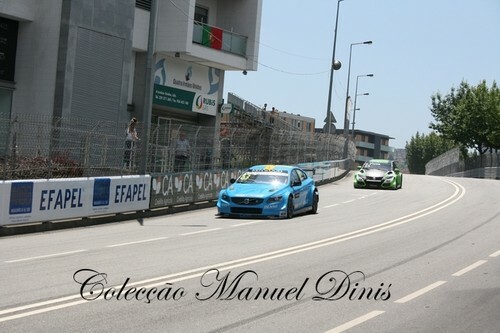 We are 15 min from FIA WTCC Race 2! 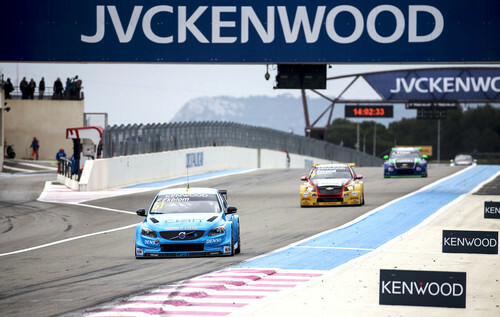 Fredrik Ekblom finished P10 in the second FIA WTCC race at Paul Ricard while Thed Björk had to retire with an electrical issue. 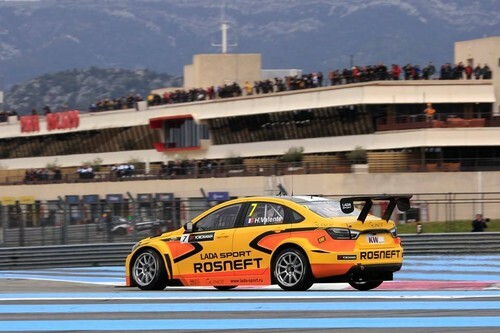 Spirits are high at LADA SPORT ROSNEFT at the conclusion of the opening round of the 2016 FIA World Touring Car Championship (WTCC) at Circuit Paul Ricard, as the Russian team was able to demonstrate that it is now more than a match for its rivals with solid points finishes for Nick Catsburg and Hugo Valente (Sunday 3 April). 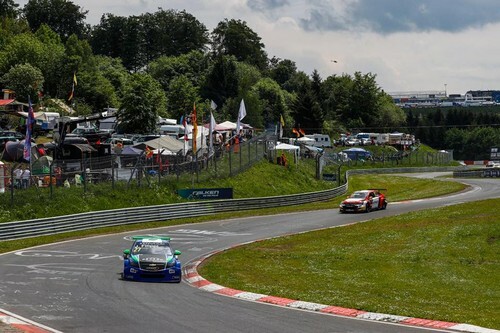 In the Opening Race, Valente found himself third on the initial run to Turn 1, while Catsburg and Gabriele Tarquini emerged from a frenetic opening-lap tussle in sixth and tenth respectively. 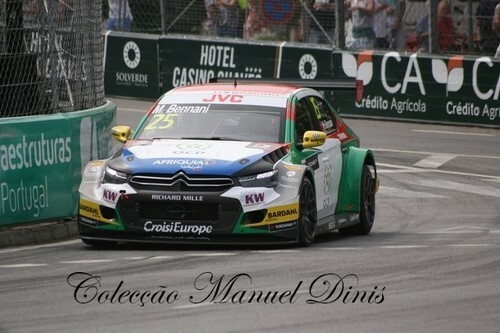 Valente latched to the rear of Mehdi Bennani’s Citroen C-Elysee during the first half of the 16-lapper and he did a valiant job of attacking while playing a rear-guard action against the advancing Hondas of Norbert Michelisz and Tiago Monteiro. 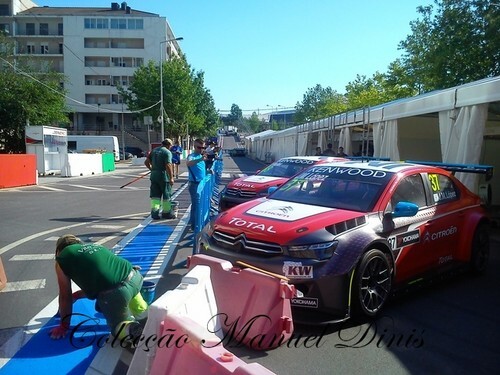 Sadly, the young Frenchman’s pace started to drop off as tyre wear became an issue and an opportunistic lunge by Michelisz was enough to relieve the LADA driver of third position and also allow Monteiro through. 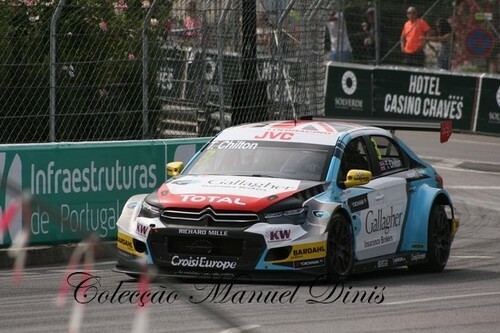 Thereafter, Valente turned his attention to the fast-approaching Citroen of Jose-Maria Lopez; the reigning World Champion did his best to force a mistake with some bold moves, but Valente kept a cool head under pressure and fended off the Argentinian brilliantly to collect ten well-deserved championship points for fifth position. Catsburg, who previously claimed to need training from teammate and touring car veteran, Tarquini, when it comes to door handle-to-door handle racing, showed great skill and judgement while embroiled in several high-intensity tussles on Sunday morning. 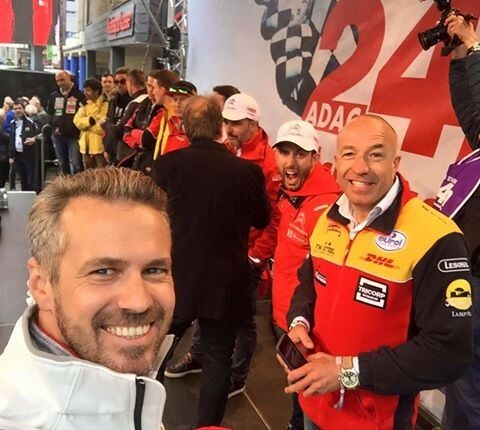 The Dutch racer traded places with Tom Coronel on lap one and, after locking horns with Monteiro, spent most of the race in pursuit of the Chevrolet driver. Catsburg clearly had more pace, but bided his time. A fair, yet robust passing manoeuvre on the final approach to Turn 1 opened the door to Volvo’s Thed Bjork, but the dispute for eighth place went right down to the flag, with Catsburg coming out on top. 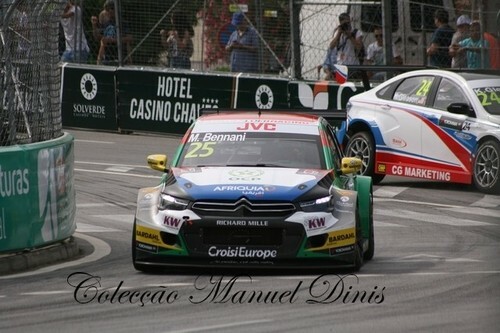 Tarquini, meanwhile, was doing his utmost to hold back the Citroen of Gregoire Demoustier and the Volvo of Bjork while carefully managing tyre wear by keeping his distance to those ahead of him. 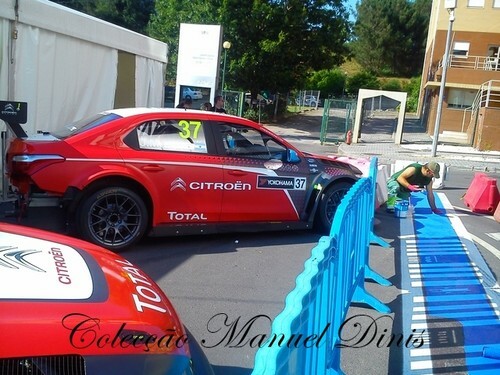 However, on his eighth tour of the Southern French circuit, the Italian received a huge, race-ending biff from the wayward Demoustier that destroyed his right-rear suspension, and the Italian’s misfortune would continue on Sunday afternoon, as a collision resulted front-end damage and another retirement. 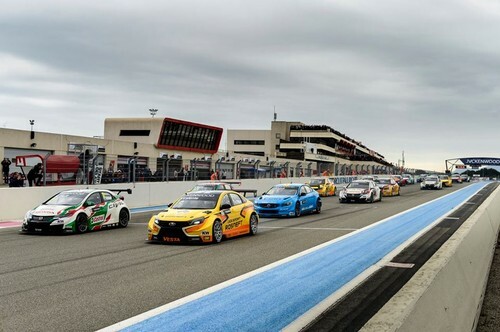 His teammates fared a little better on the French Riviera, as a delighted Catsburg kept the top four honest while driving to a solid fifth place and Valente finished seventh following an incredibly busy race against the Citroens of Bennani and Tom Chilton. 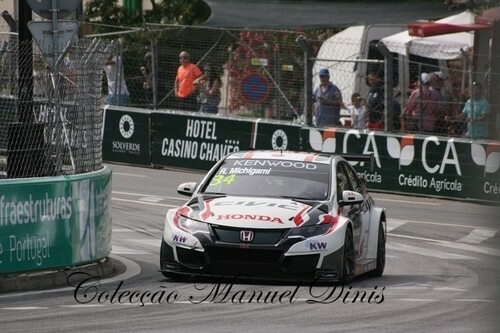 Un podium et un Top 10 au classement général, deux victoires dans le WTCC Trophy dont un doublé, et la première place de ce trophée réservé aux pilotes et teams indépendants. 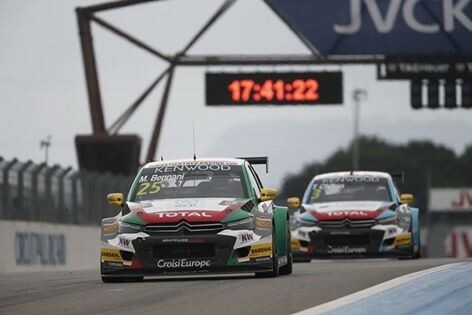 Tel est le bilan du team après la première manche du FIA WTCC. 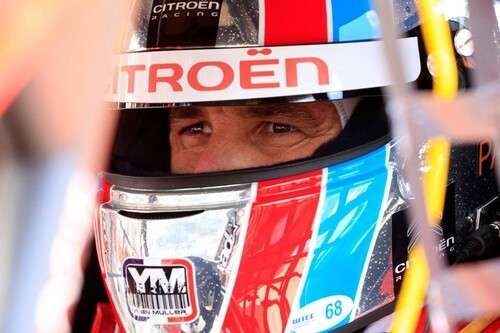 MULLER Yvan (fra) Citroen C Elysee team Citroen TOTAL WTCC portrait ambiance during the 2016 FIA WTCC World Touring Car Championship race of Paul Ricard, Le Castellet, France from April 1 to 3 - Photo Vincent Curutchet / DPPI. 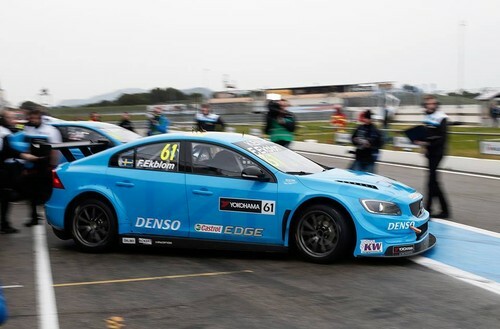 Thed Björk and Fredrik Ekblom scored world championship points in the first ever FIA World Touring Car Championship race weekend of the all-new programme of Polestar Cyan Racing. 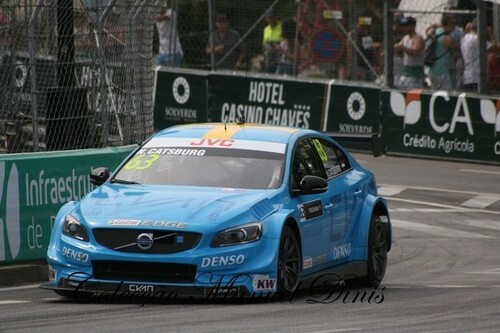 Thed Björk provided the best show of the weekend in the first race where he climbed from last position on the grid to finish seventh, passing nine cars. ”I am really pleased with the weekend. We have got a receipt that we are on pace. 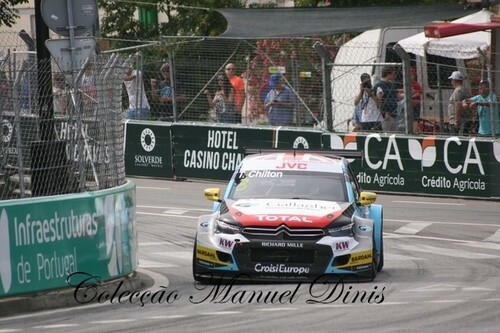 We had some issues but that is to be expected and the team has done an amazing work with the car. 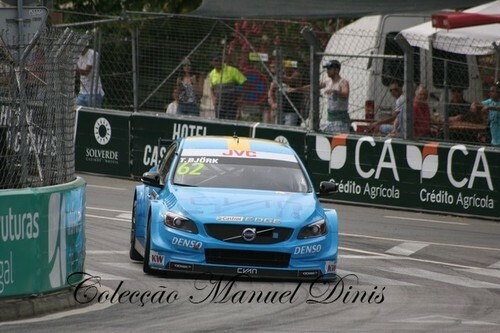 I can’t wait to get to the next race in Slovakia,” said Björk. Team mate Fredrik Ekblom was next to score world championship points in the second race, crossing the line in tenth position after a tough fight with, among others, former world champion Rob Huff. 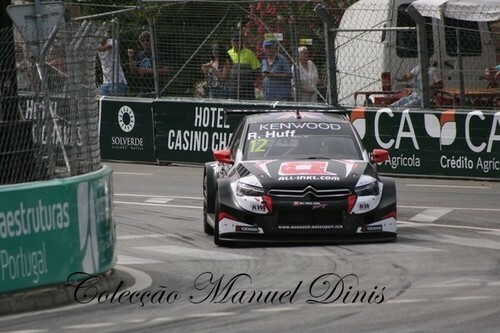 ”We have had a good first race and I am delighted leave Paul Ricard with points. 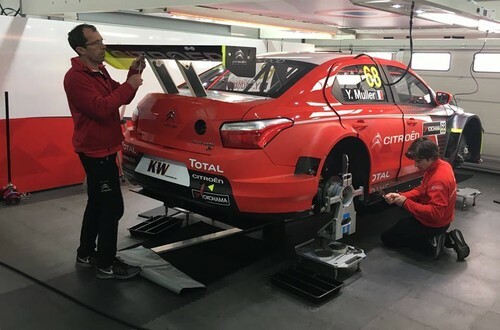 The car is fast and I am longing for us to sink our teeth in all the data we have gathered in order to sharpen our knives even further ahead of the rest of the season,” said Ekblom. 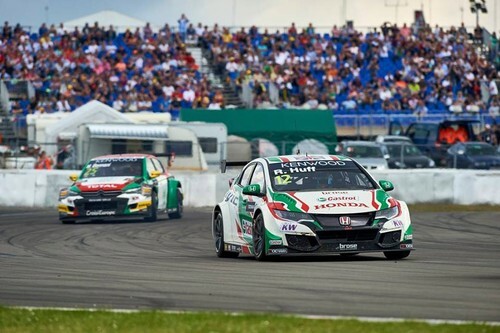 Some technical issued came with the debut weekend, with a broken rear suspension for Ekblom in race one after an incident and an electrical issue for Björk in race two. 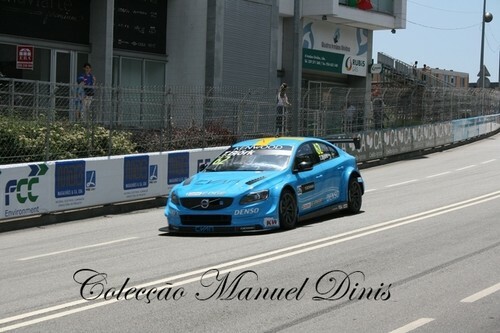 The total results of the season start are above expectation for the team, most importantly showing competitive pace with an all new car and programme of Polestar Cyan Racing. 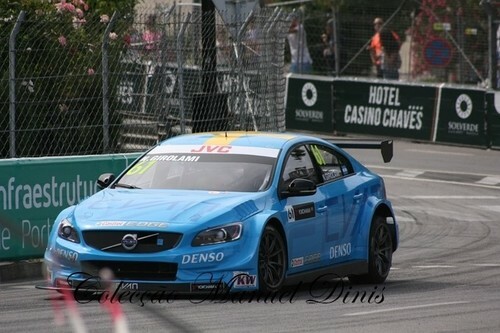 ”We can conclude that our setup with a Swedish car, Swedish drivers and an all-Swedish crew is working. Our mission for the first race was to gather data. 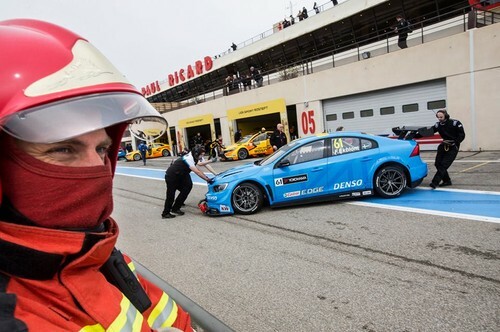 We have done more than that with Thed giving us a great show in the first race and both drivers scoring world championship points,” said Alexander Murdzevski Schedvin, Head of Motorsport at Polestar. 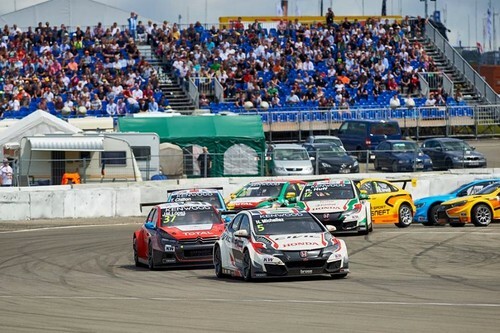 The next WTCC race will be held in two weeks at the Slovakiaring, April 16-17th. 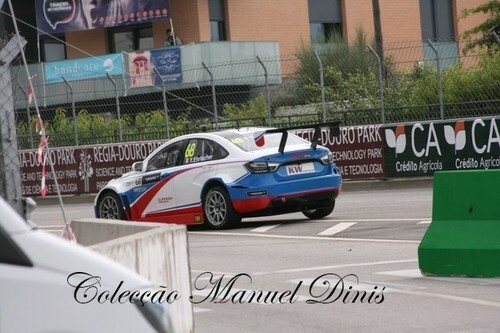 The Russian WTCC squad spent three days (6-8 March) at Algarve International Circuit in Portugal, conducting tests of the updated LADA Vesta TC1 ahead of the FIA WTCC 2016 season. 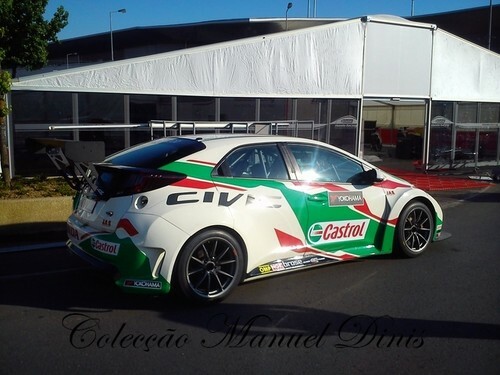 Team drivers Gabriele Tarquini, Nick Catsburg and Hugo Valente extracted the maximum from the dry warm weather lapping consistently over the three days, gaining a better understanding of a renewed version of the Vesta TC1. 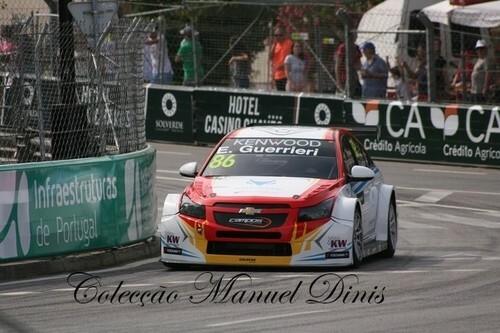 Gabriele Tarquini: «I drove the car the first day of the session. We were lucky with the weather; it was completely dry day, though the only problem was the strong wind. 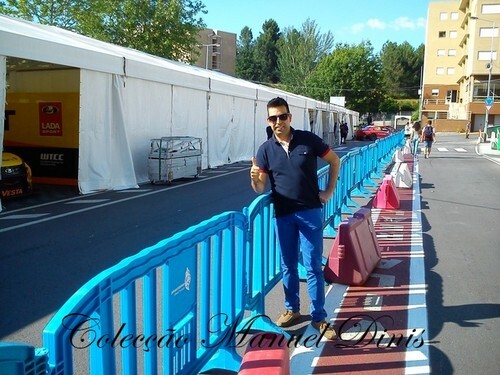 I did fifty laps without any mechanical problems. We tested different configuration and geometry on the front and rear suspension. 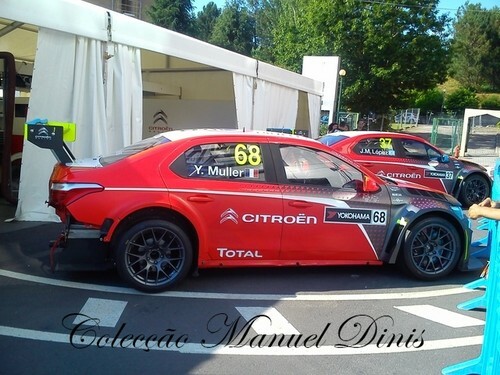 For me it was a great opportunity to discover the car as I only drove the Vesta in rainy Magny-Cours where the temperatures have been very low. 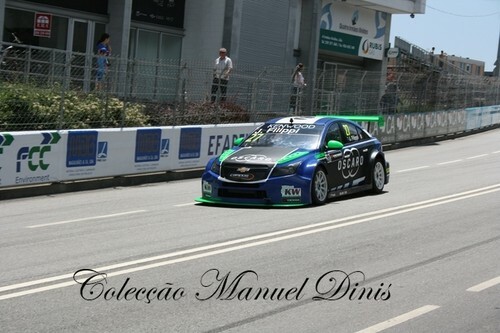 In parallel we continued to improve the engine performance and torque delivery. I'm happy to see that the car is sensitive to the changes we made. I also followed the test with Nick and Hugo because I wanted to share with them the feelings of the car and the development plan for the first race». 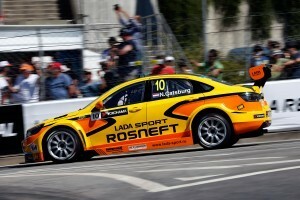 Nick Catsburg: «I was very happy to be back at the wheel of the LADA Vesta. 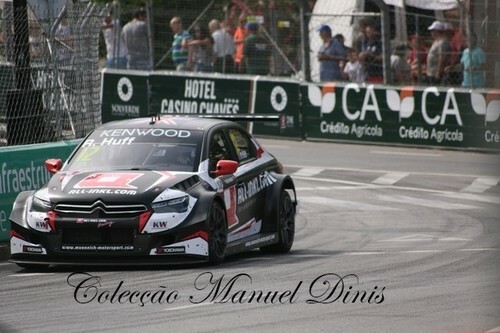 The team have worked effectively on the updates, the car feels really good. We put a lot of focus and made big progress in terms of standing starts, which was our weak point last year and often made the races more difficult for us as we could not capitalize on the cars qualifying speed. The new engine management system has been seriously upgraded, and this year we will be more effective at the start of the race for sure. Also the traction is much better now and the general power delivery has been improved. 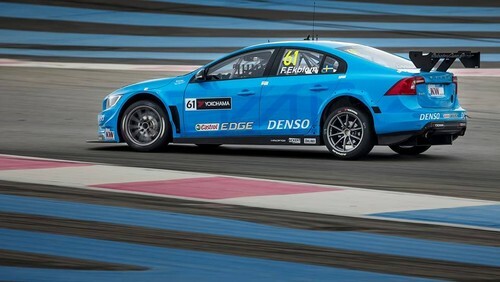 In general, thanks to the major changes in the engine and suspension, the Vesta looks really promising ahead of the WTCC 2016 season. 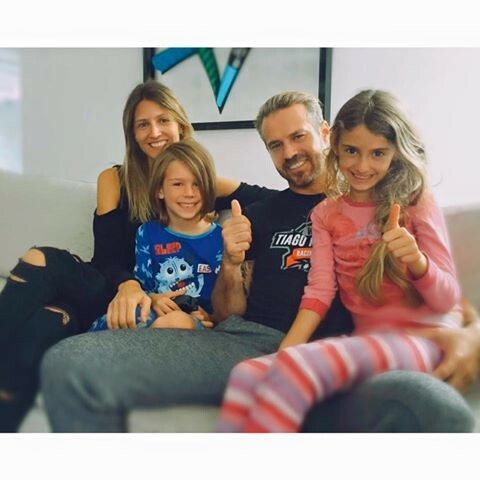 It is also nice to see Gabriele's experience apready having an influence in a very positive way." 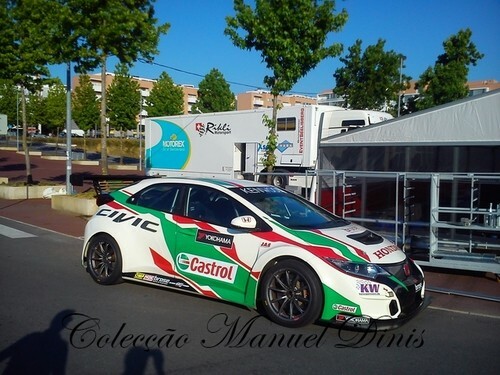 Hugo Valente: «I'm happy with how the testing went so far. I had limited dry running in the car so far so it was very important for me to do some dry testing and do a lot of laps. 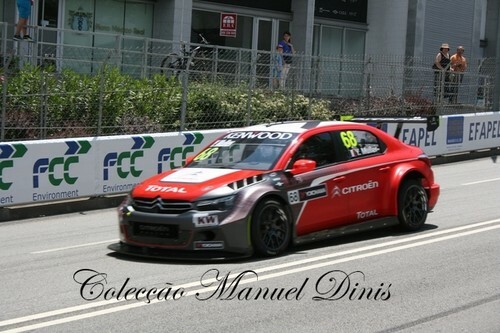 It was very useful in terms of both getting the knowledge of the car and regaining the confidence of driving the race car again as since the final WTCC race in Qatar last year I had not got my hands on a proper steering wheel. 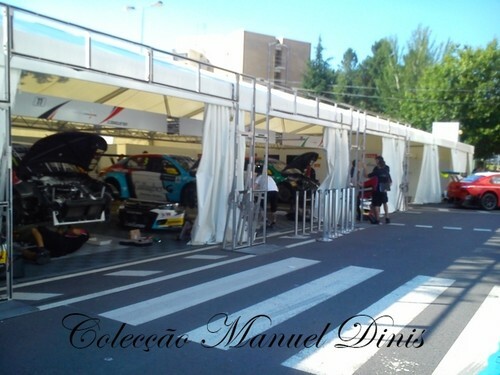 The updates brought by Lada Sport and Oreca seem to be working nicely. I had no experience of the 2015 car so it's hard for me to compare, but the feedback from Gabriele and Nicky is positive on both engine and suspension so hopefully that Vesta will show a better pace and improvement in terms of reliability and consistency on the long runs. I am very much looking forward to beginning of the season, it will be the first time we will be racing with the other cars so we will get a better idea of where we are in terms of performance». The team will have one more test session in mid-March at Magny-Cours Circuit before the the season kicks off at Paul Ricard Circuit in France (1-3 April). 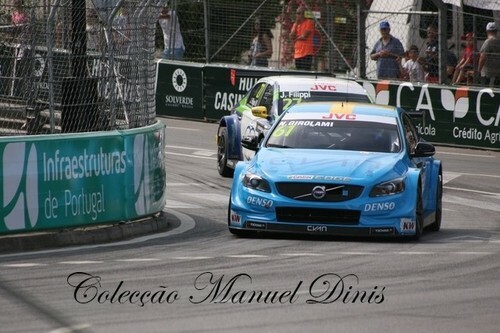 Start of the first WTCC race in the streets of Circuito Vila Real! 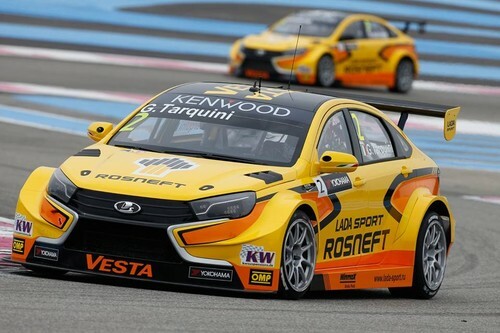 LADA SPORT ROSNEFT is pleased to announce a refreshed driver line-up for the 2016 FIA World Touring Car Championship, featuring the exciting and emerging Dutchman Nick Catsburg, the highly experienced Italian Gabriele Tarquini and former privateer, Hugo Valente. 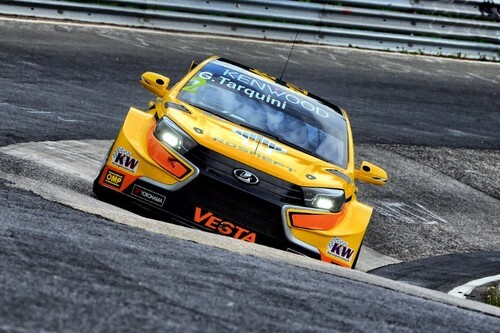 Catsburg first joined LADA SPORT midway through the 2015 season, just prior to the Russian manufacturer squad’s home round in Moscow after forging a highly successful career in GT and endurance racing. 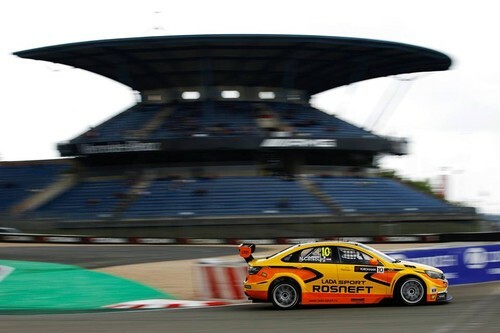 The Dutch racer showed great potential, taking his new-for-2015 LADA Vesta to two fourth-places and several top ten results and shining in qualifying trim by breaking through into the top-five shootout on three occasions. 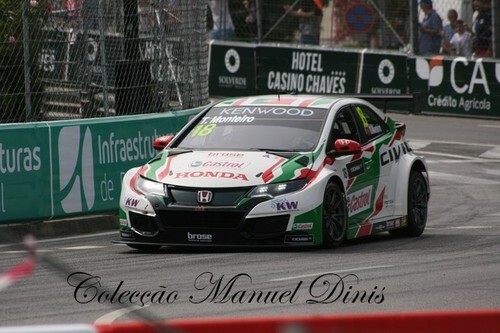 Tarquini has the 2009 FIA World, 2003 European and 1994 British Touring Car Championship titles to his name and, while he has a background in Formula 1, the Italian ace stands as one of the most experienced touring car drivers in the world, having amassed 20 race wins and numerous podium finishes since the WTCC’s inception. 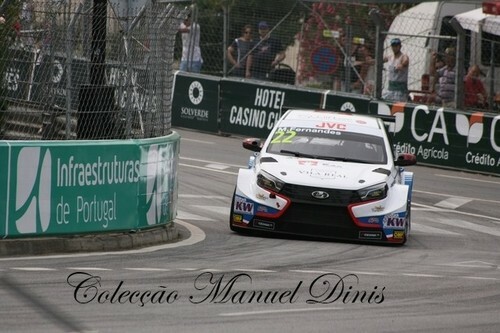 Valente, meanwhile, has already proven to be one of the most promising WTCC drivers, as, despite his young age, the Frenchman has visited the winners’ rostrum several times during his three seasons at the pinnacle of international touring car racing. First impressions of the LADA Vesta from Gabriele and Hugo have been positive and they have fitted in quickly with the team. 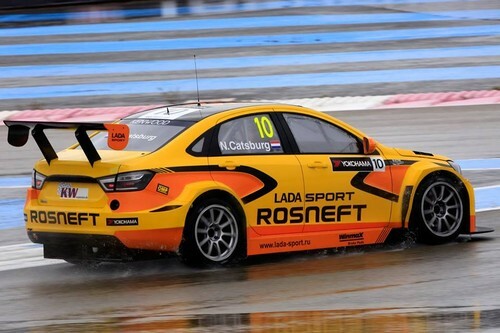 Of course, LADA SPORT ROSNEFT would like to thank Rob Huff for his two-year cooperation that brought brilliant wins, podium finishes for the LADA brand, and the team wishes him success in his future endeavors. 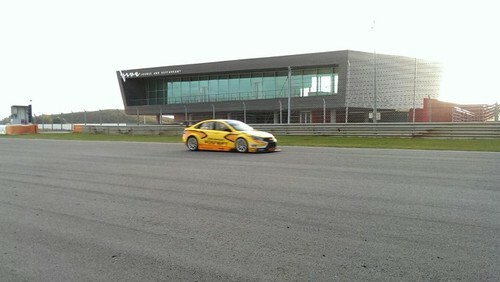 LADA SPORT is currently conducting a thorough winter testing programme at its technical base in Magny-Cours and other European racetracks, and its engineers will bring significant updates to the LADA Vesta TC1 for the first round of the 2016 WTCC season, including a host of new suspension, chassis and steering components and a new evolution of the car’s 380bhp turbocharged engine.